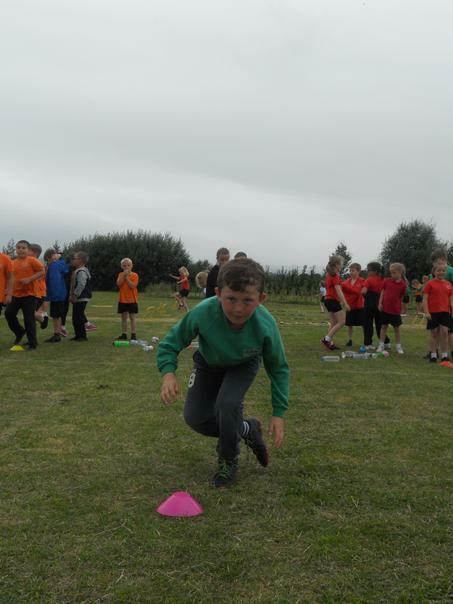 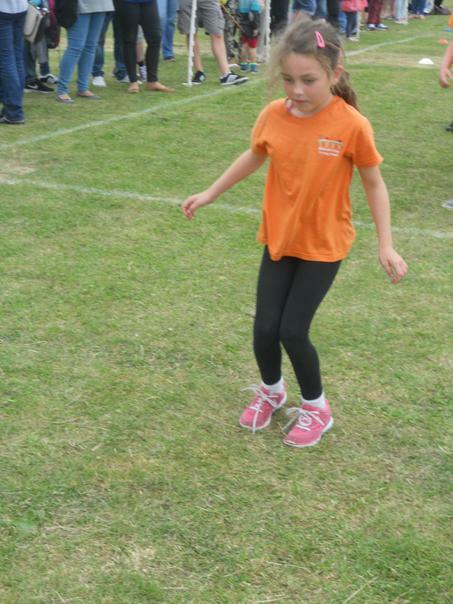 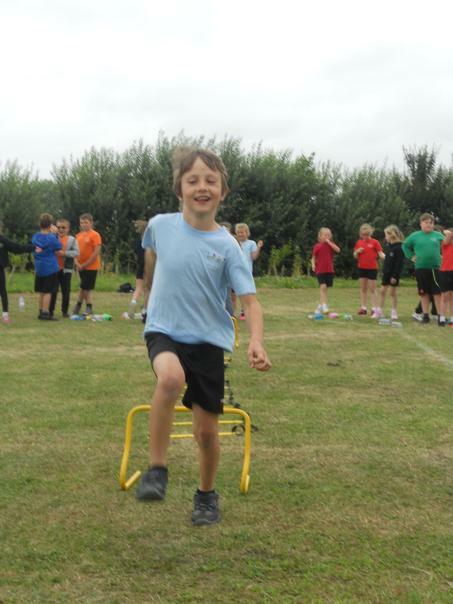 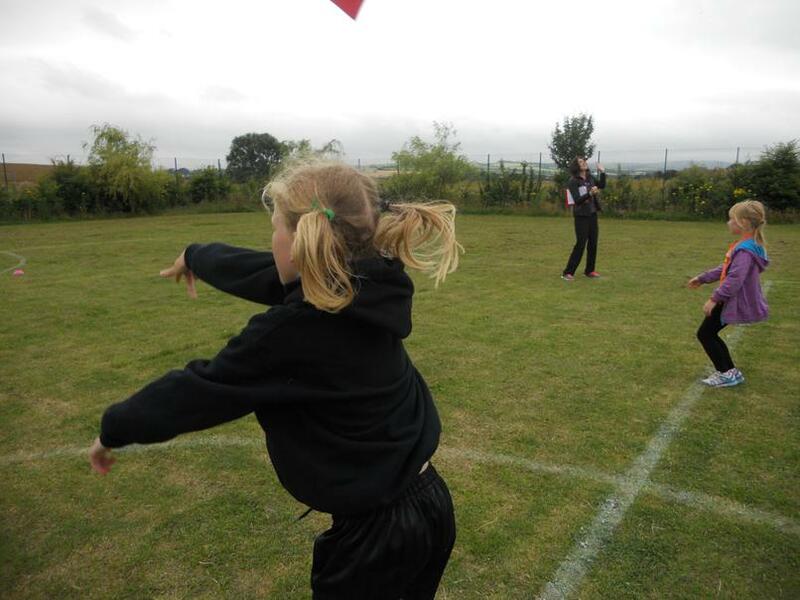 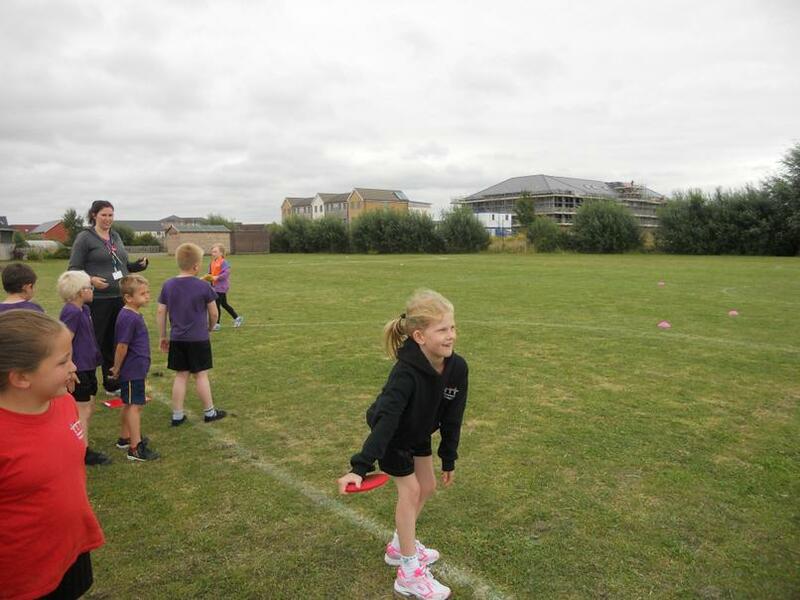 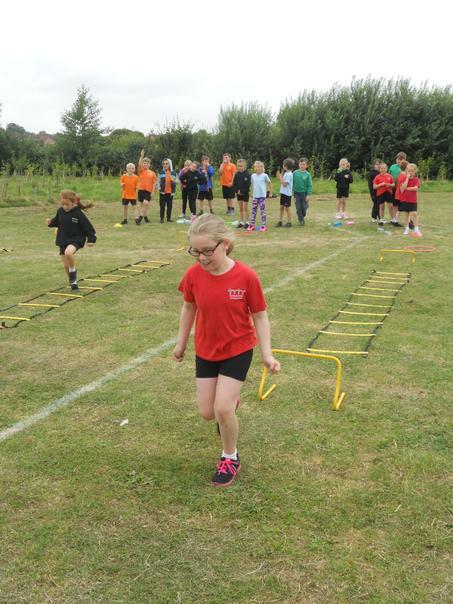 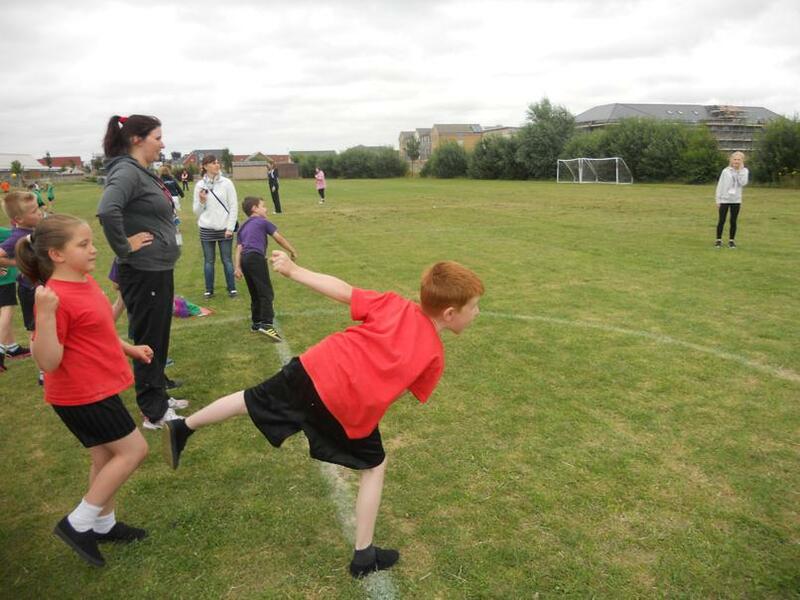 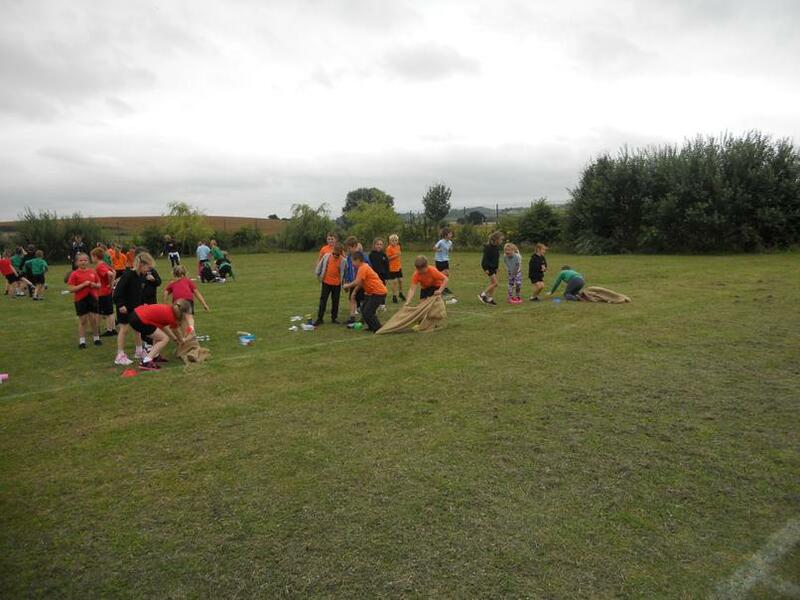 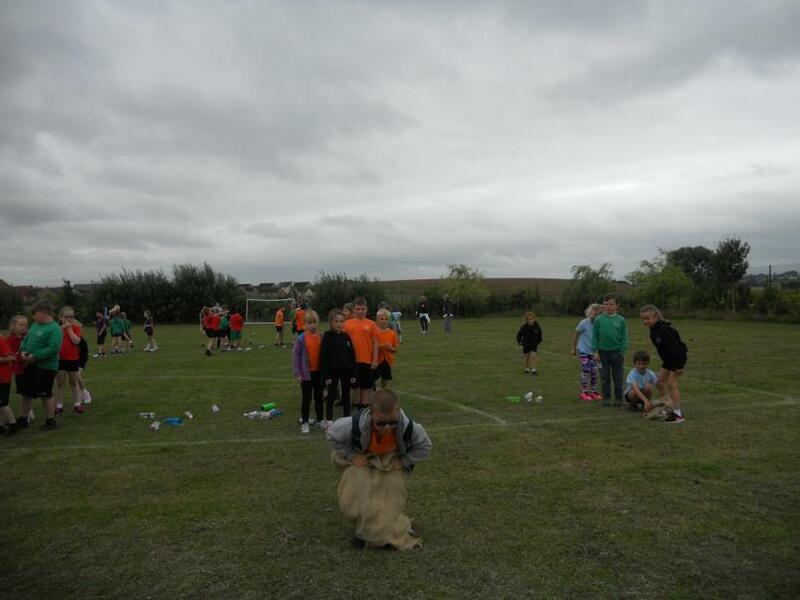 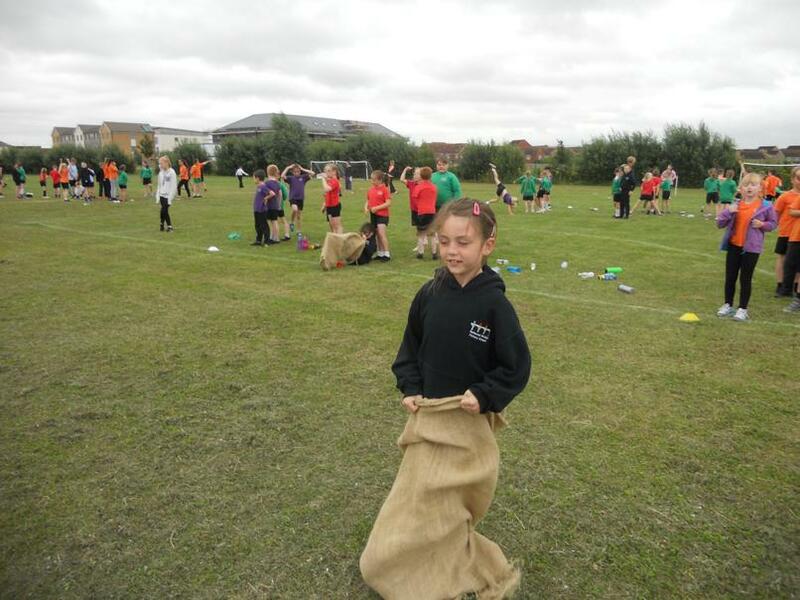 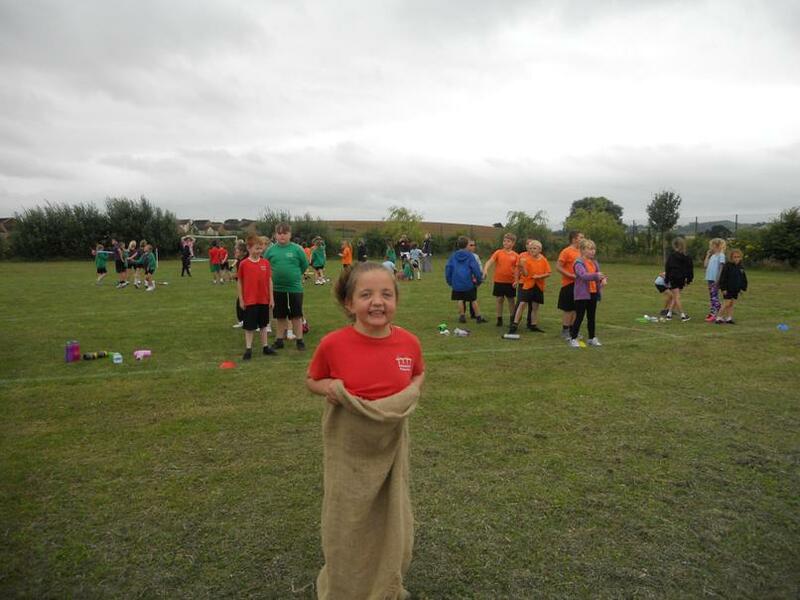 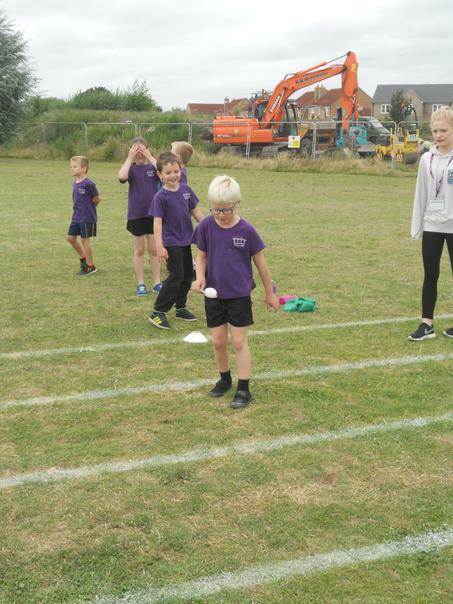 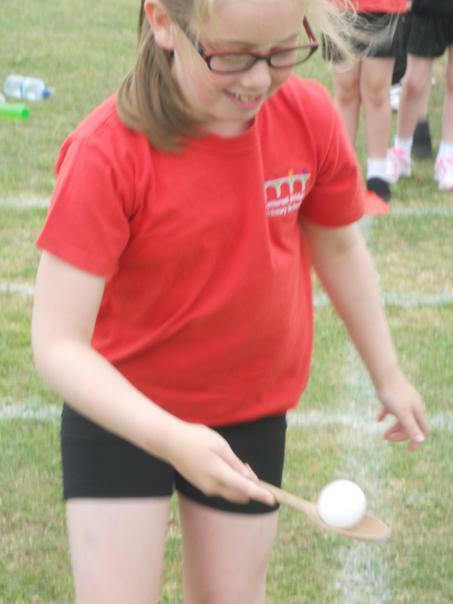 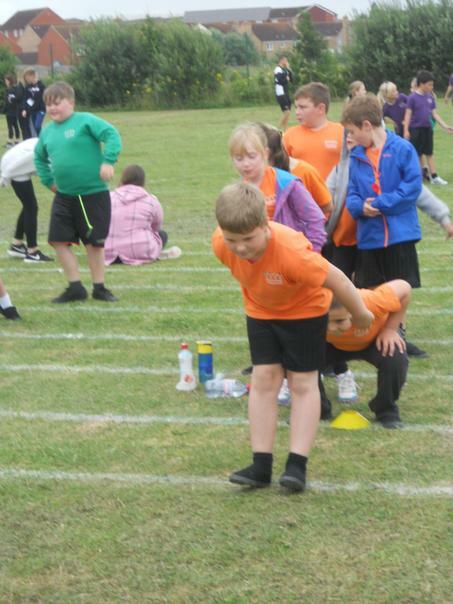 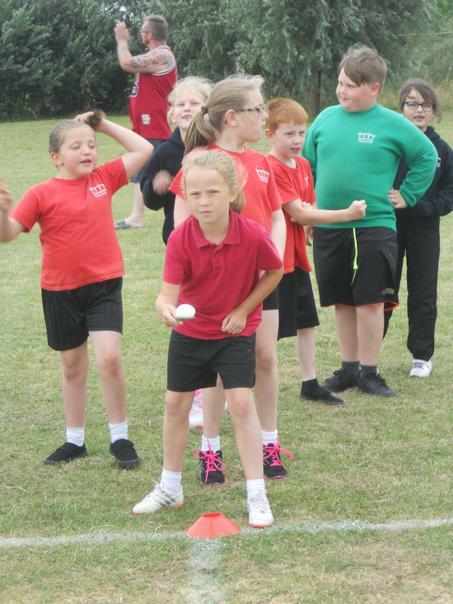 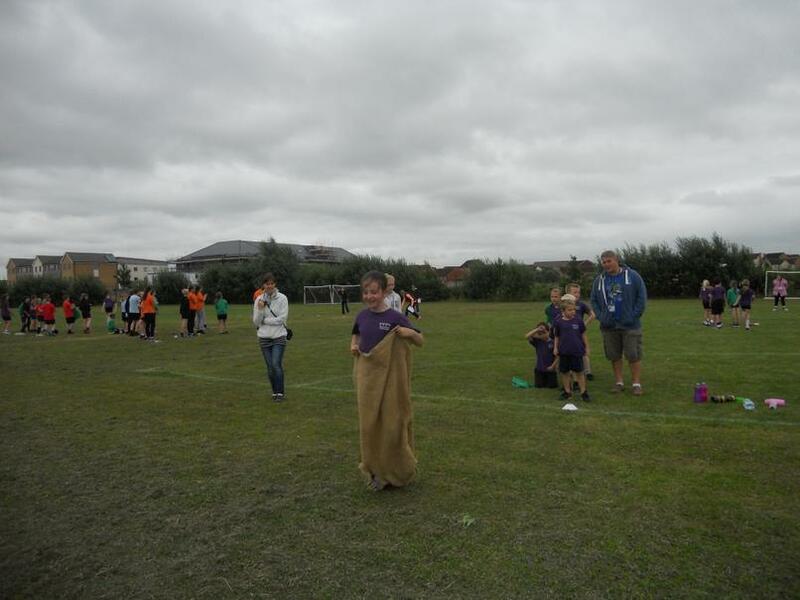 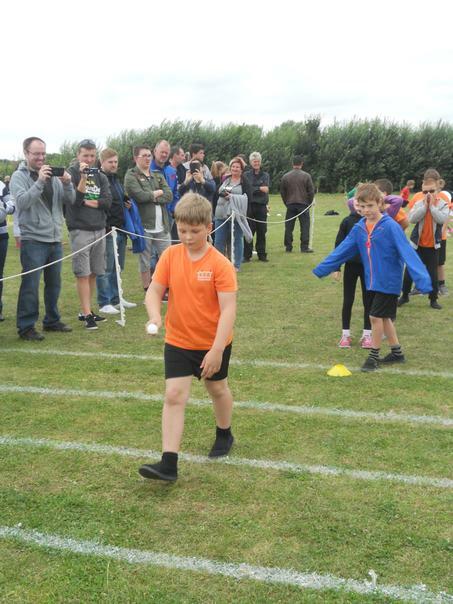 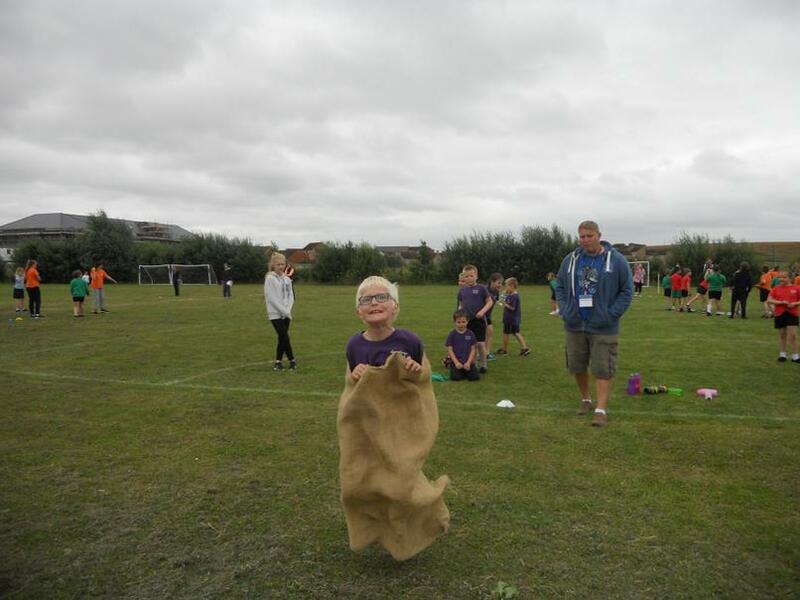 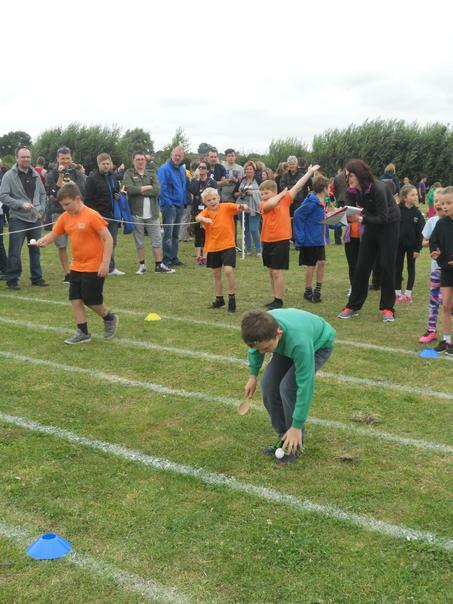 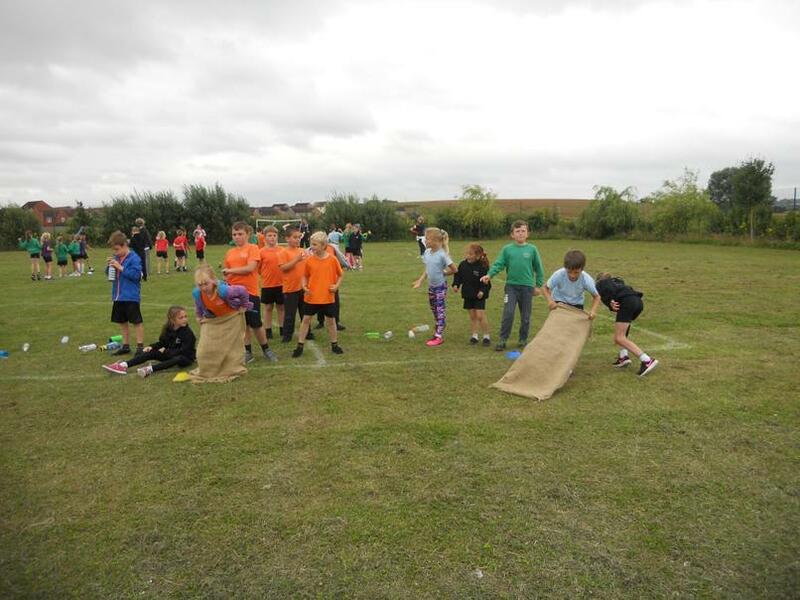 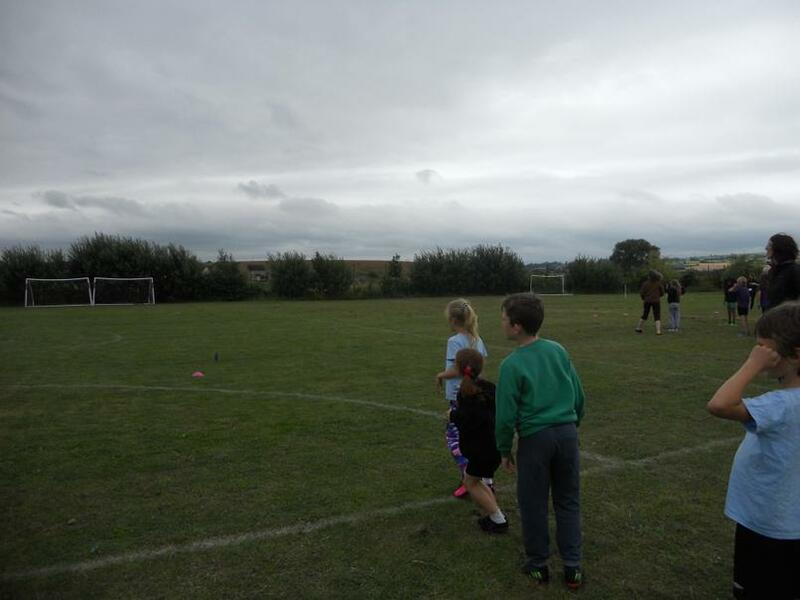 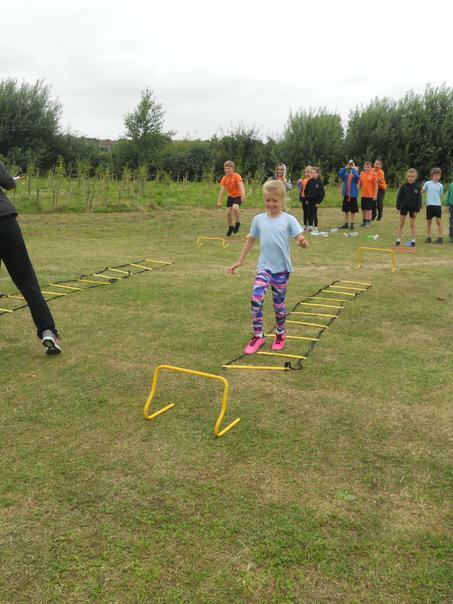 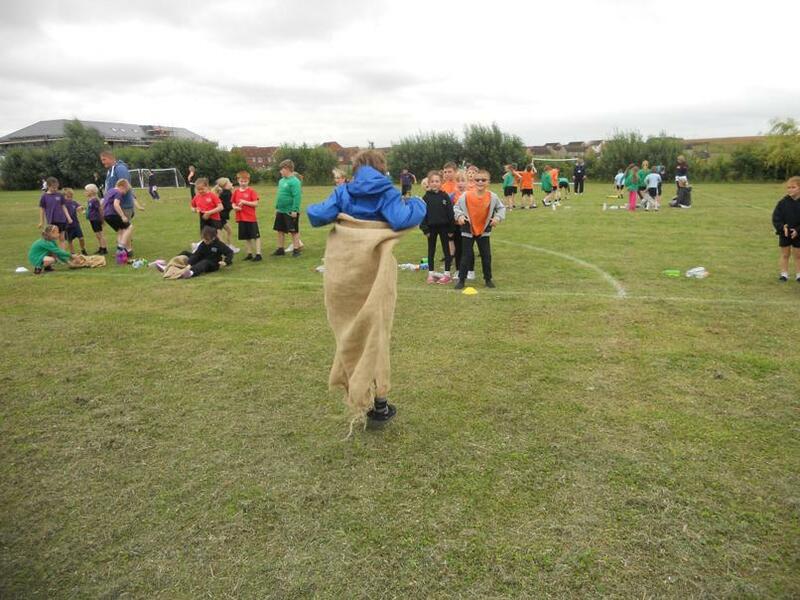 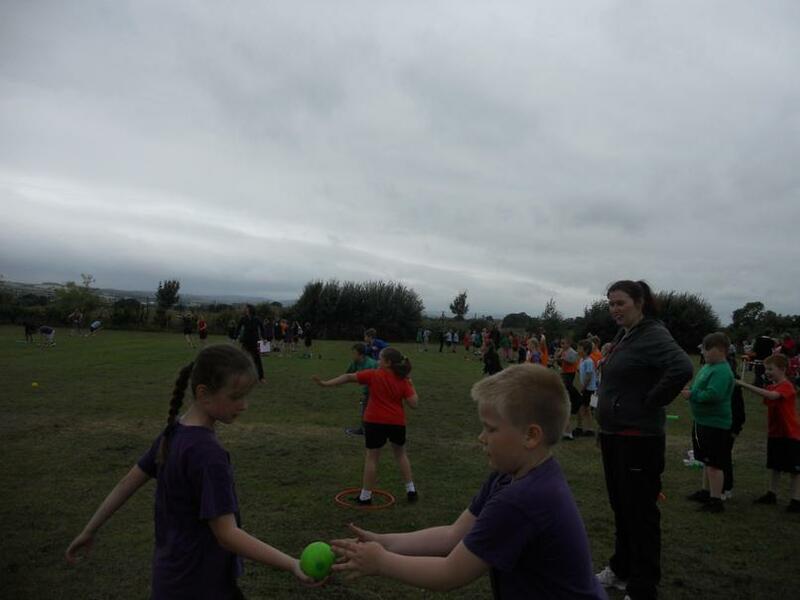 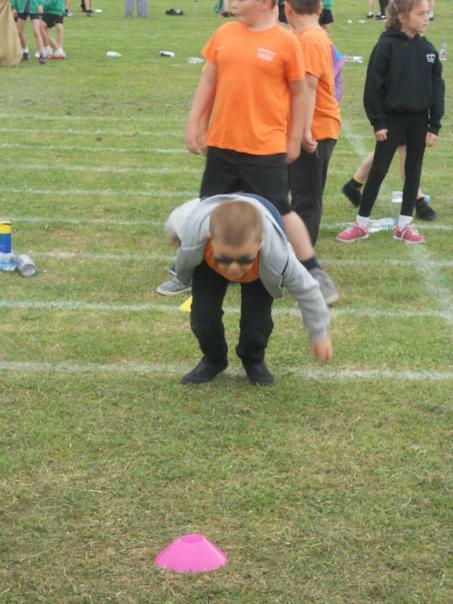 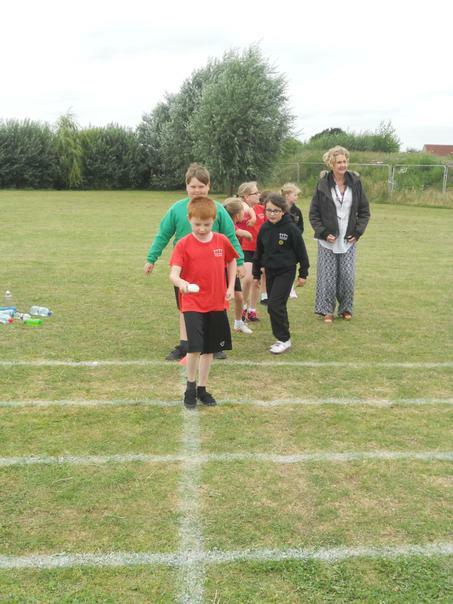 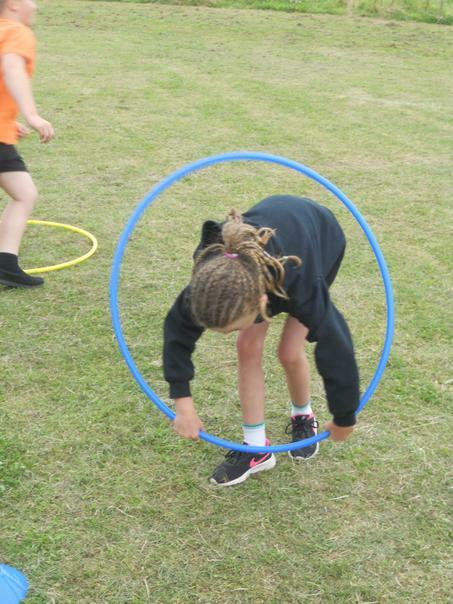 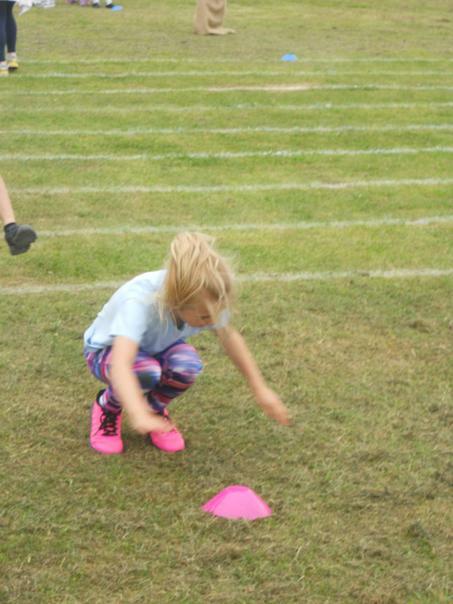 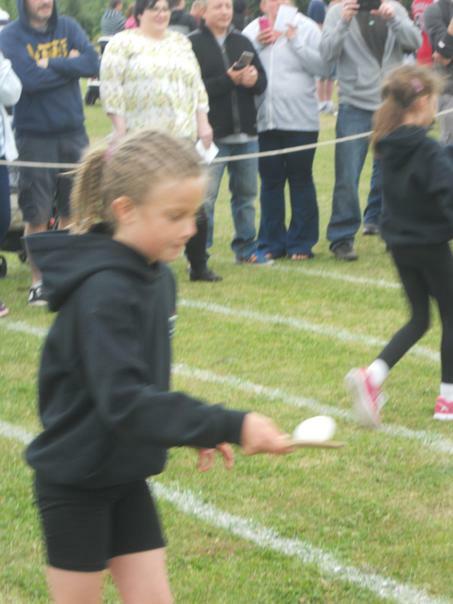 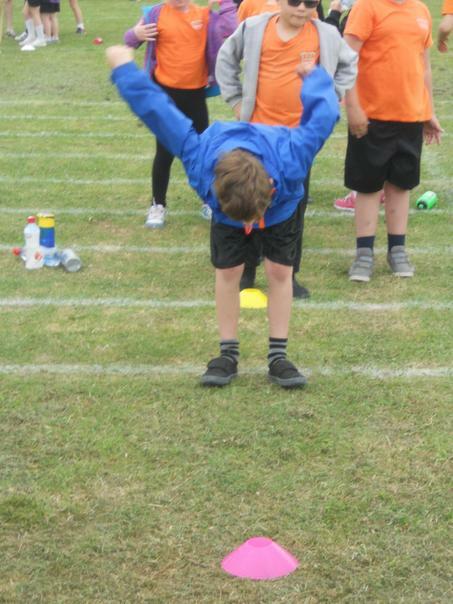 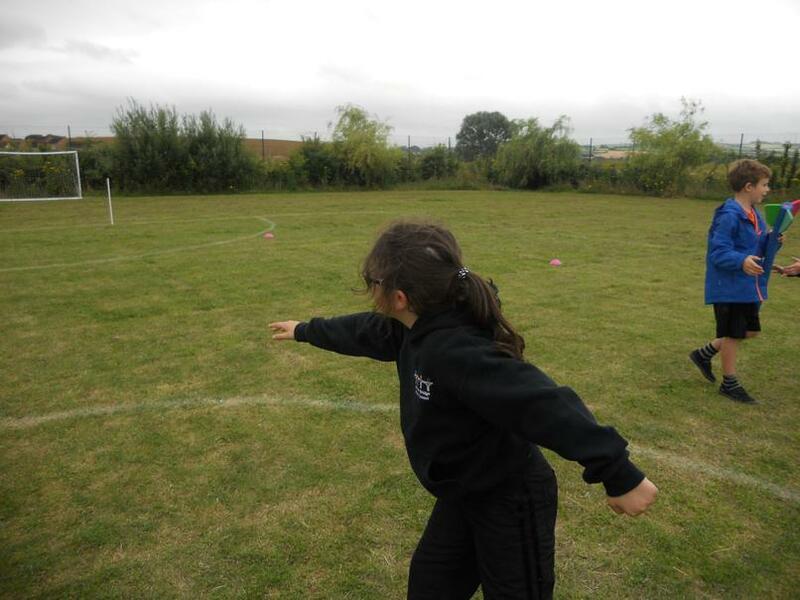 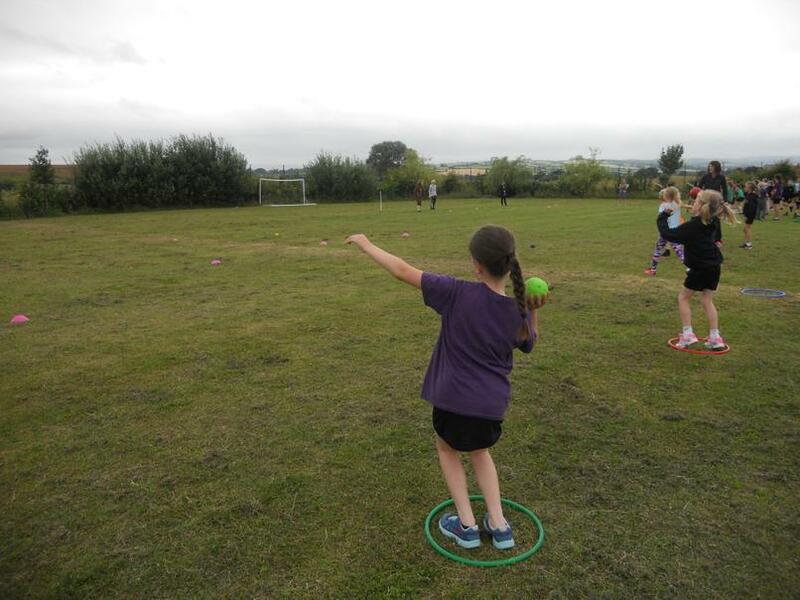 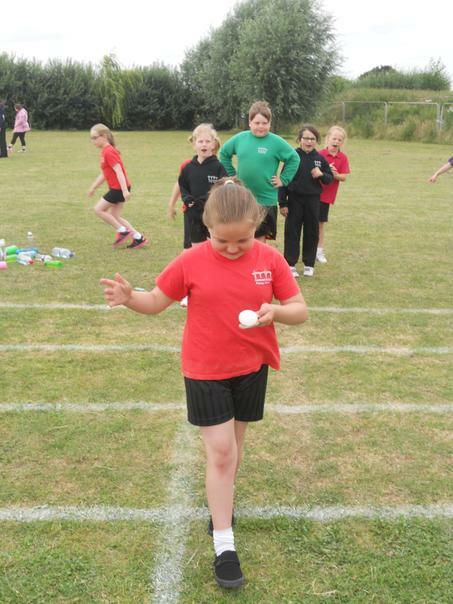 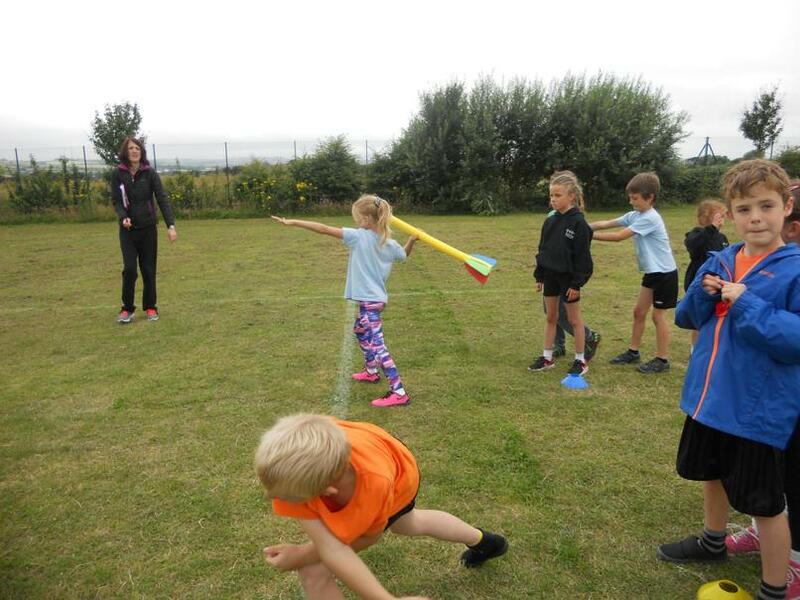 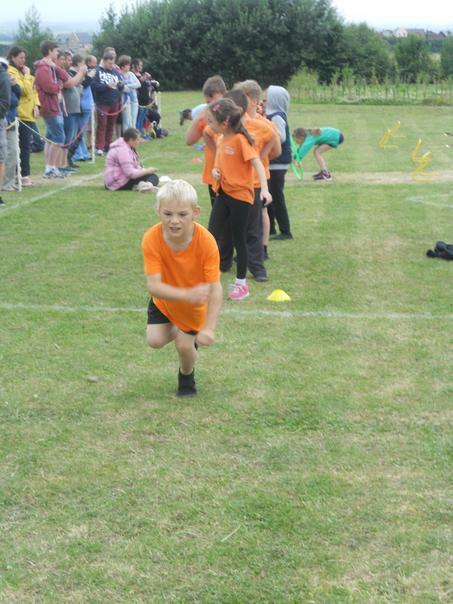 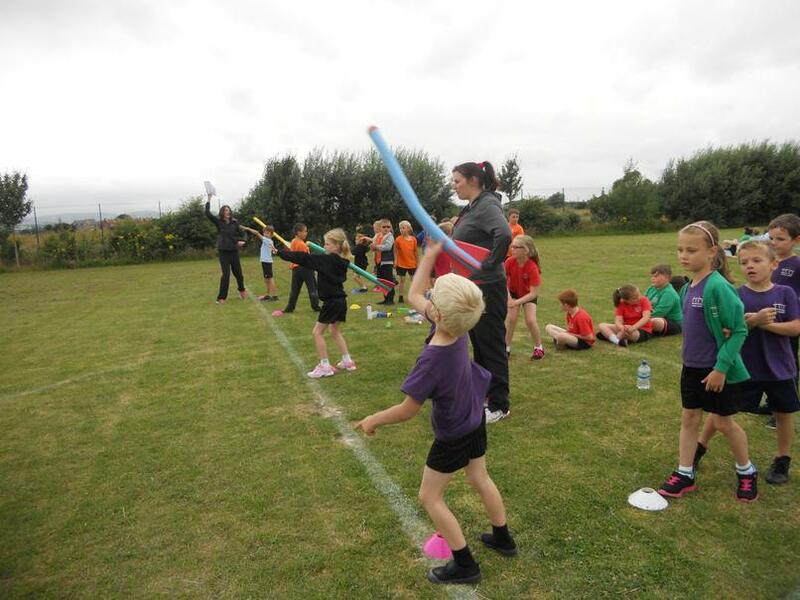 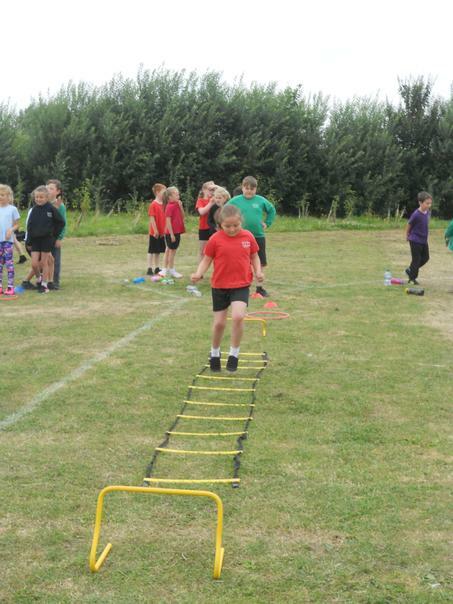 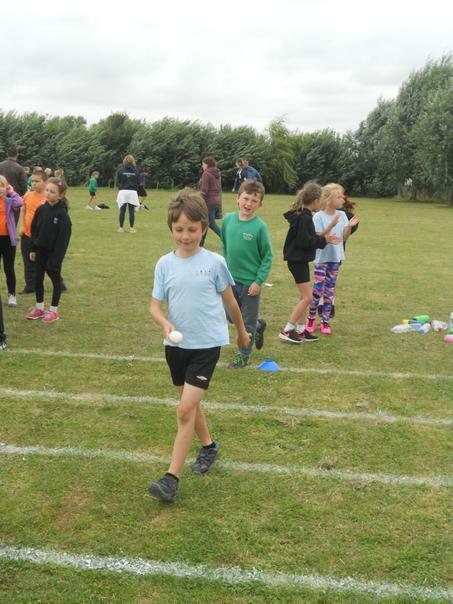 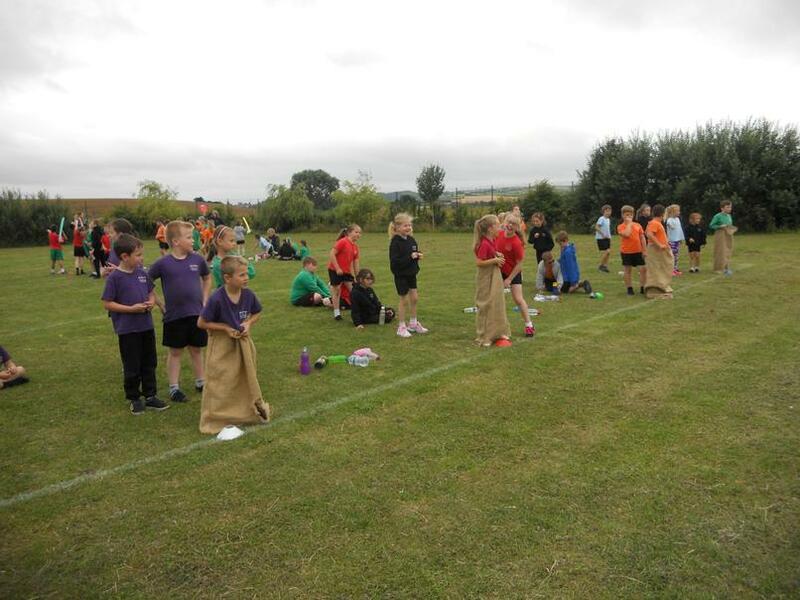 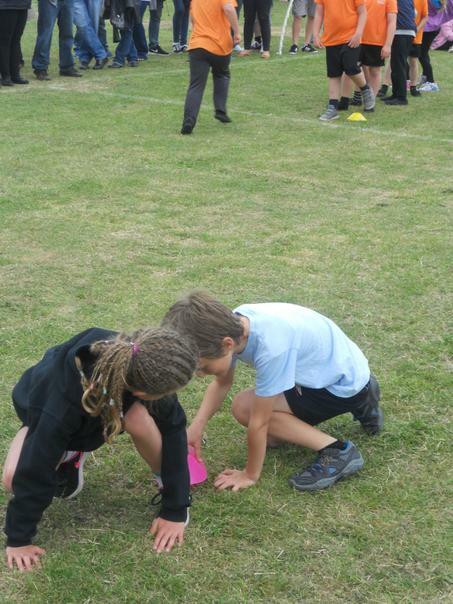 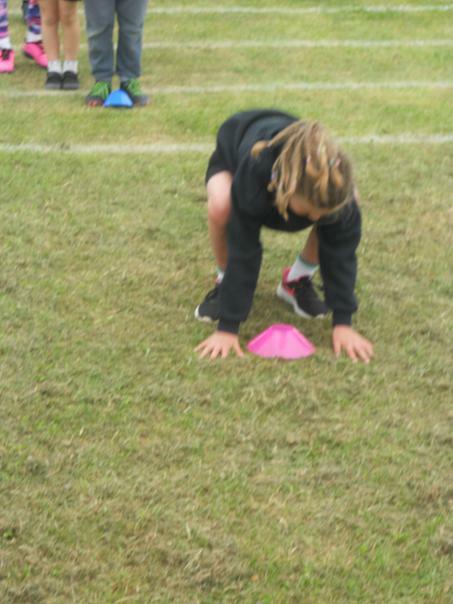 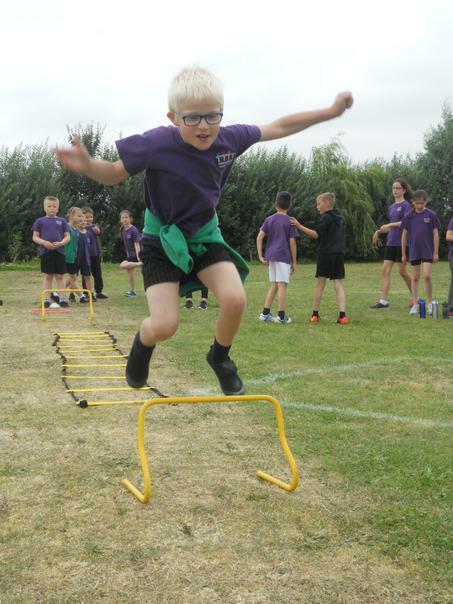 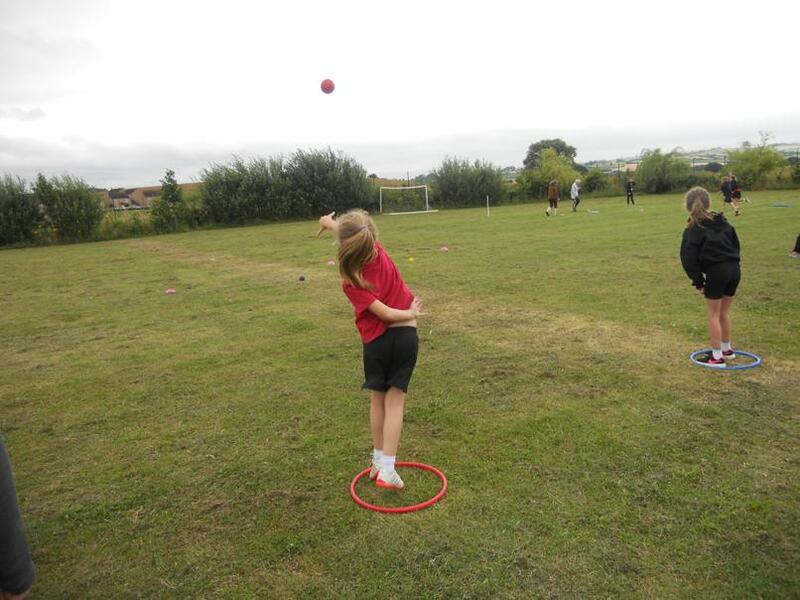 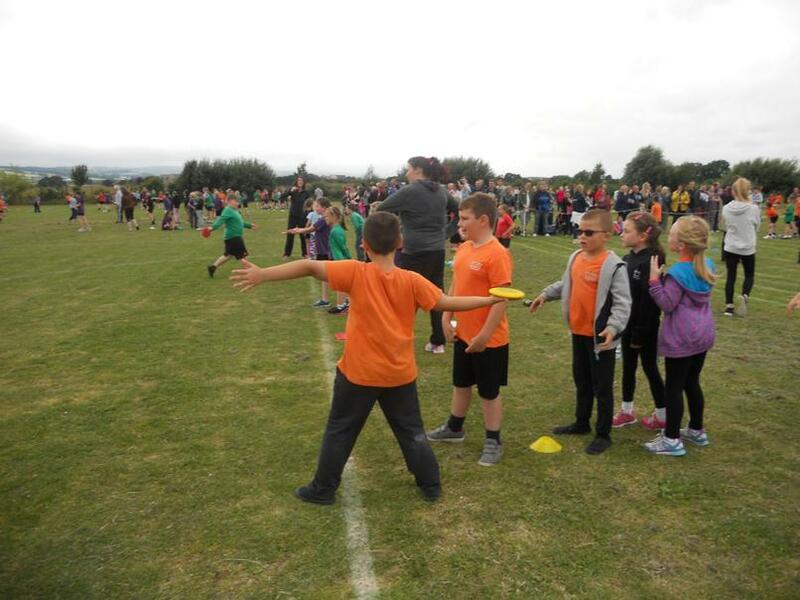 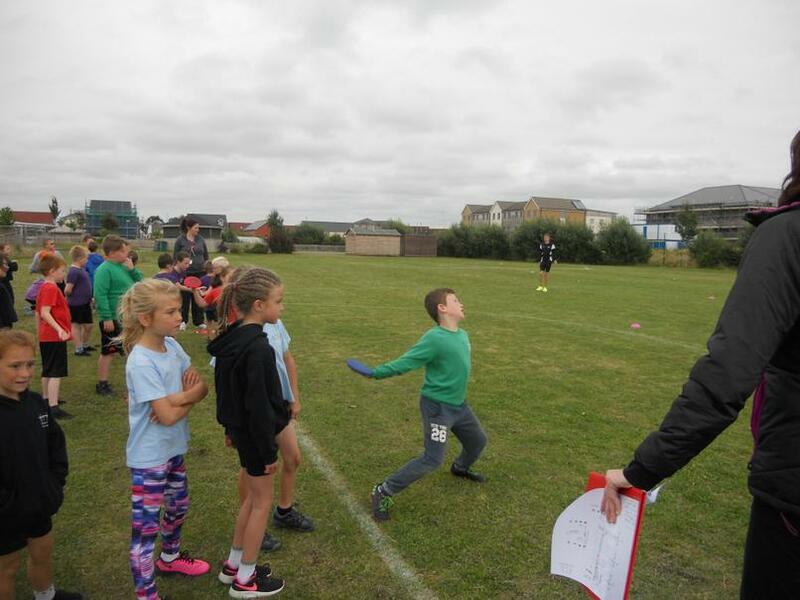 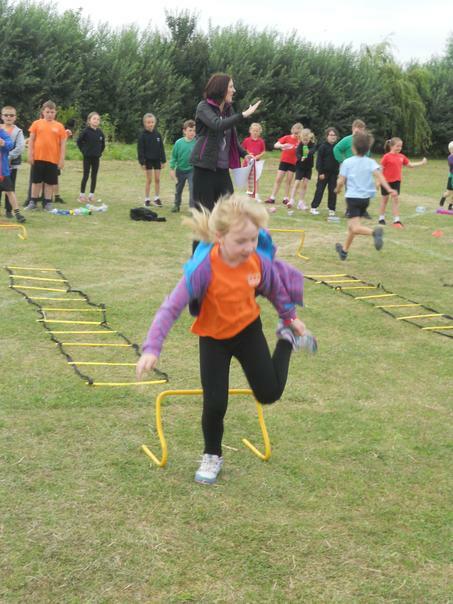 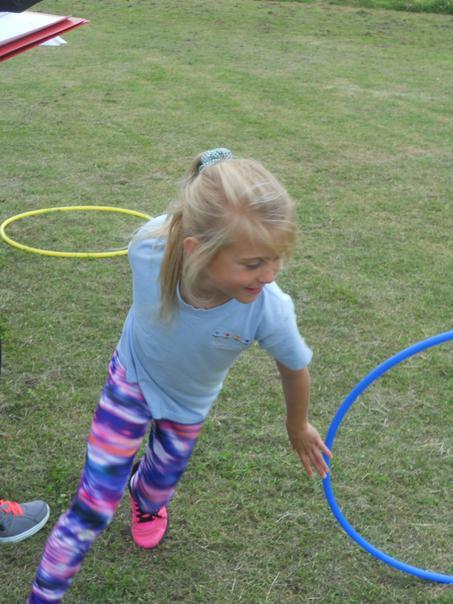 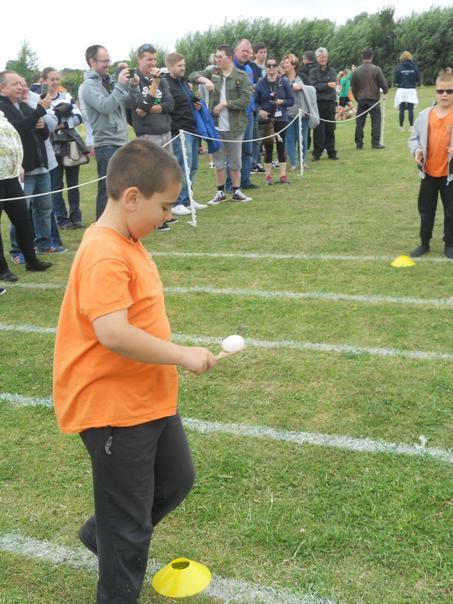 We have had an amazing sports day today. 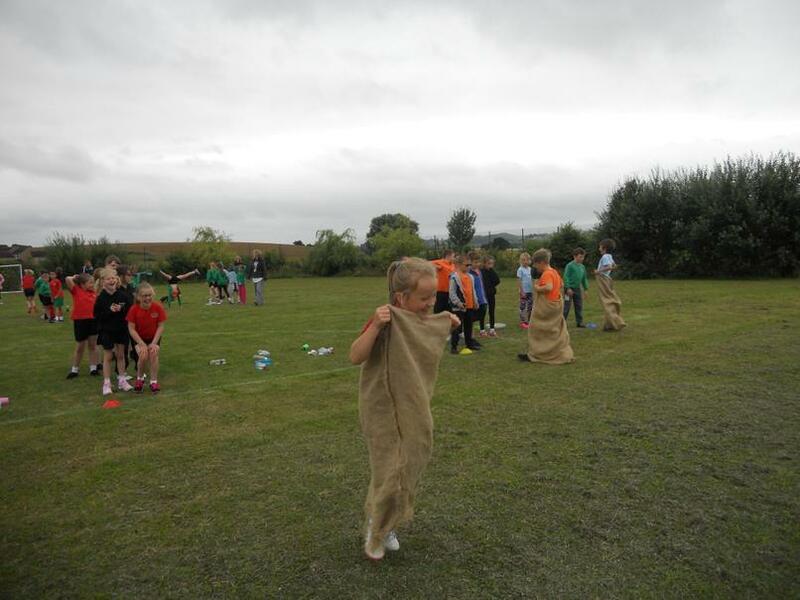 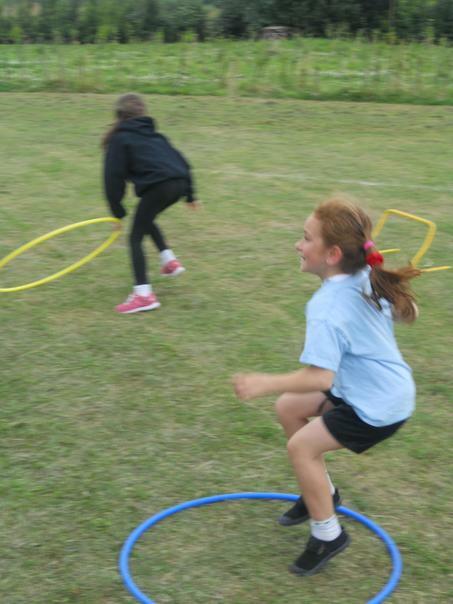 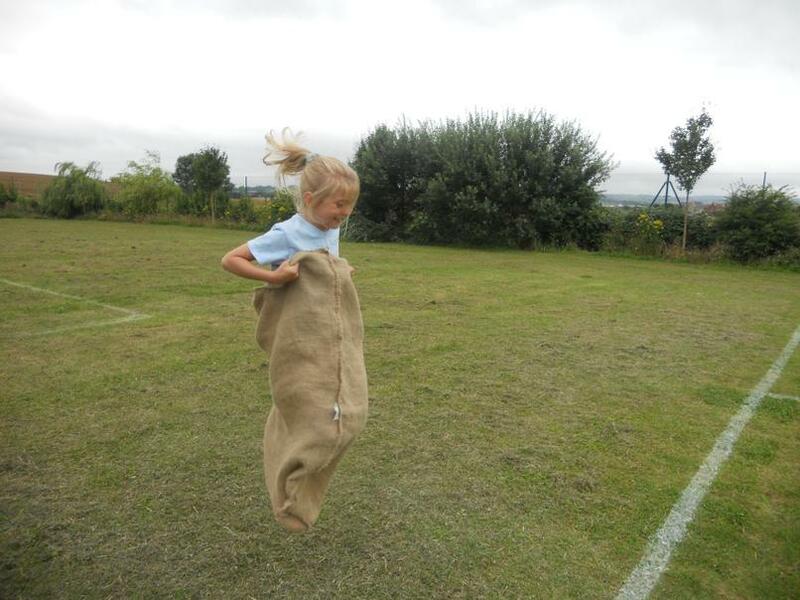 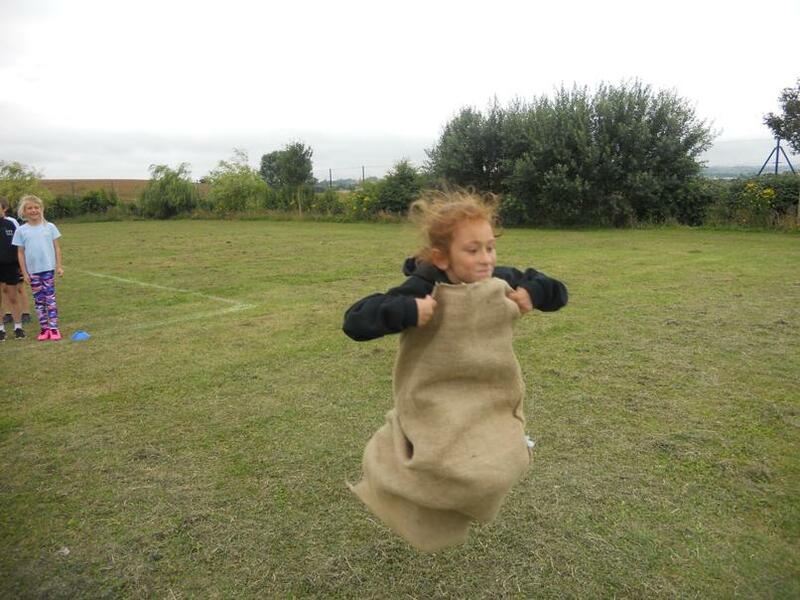 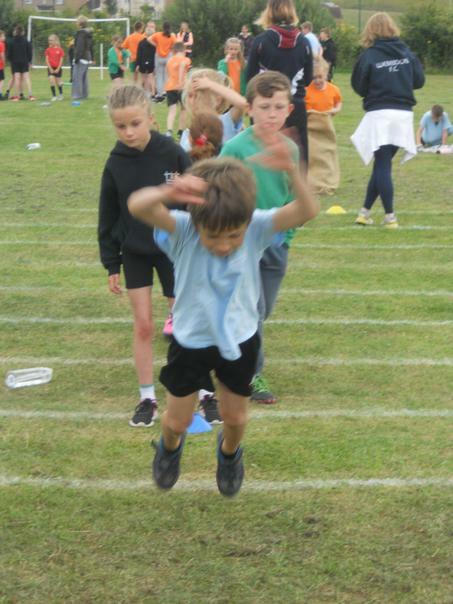 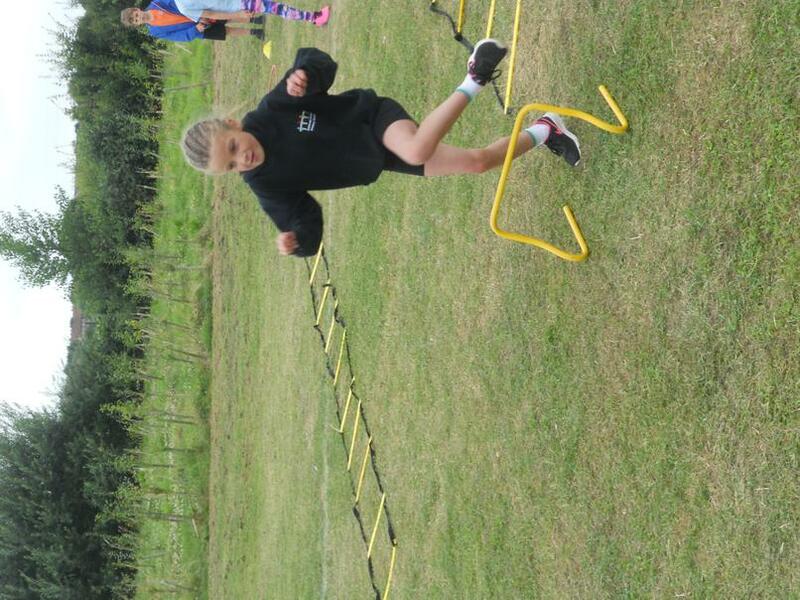 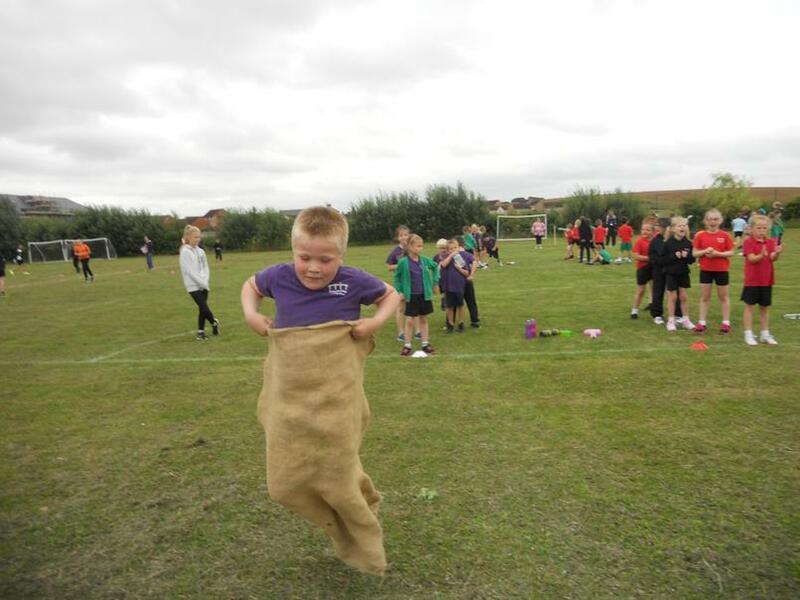 The children have bounced, skipped and jumped their very hardest and have made us all very proud. 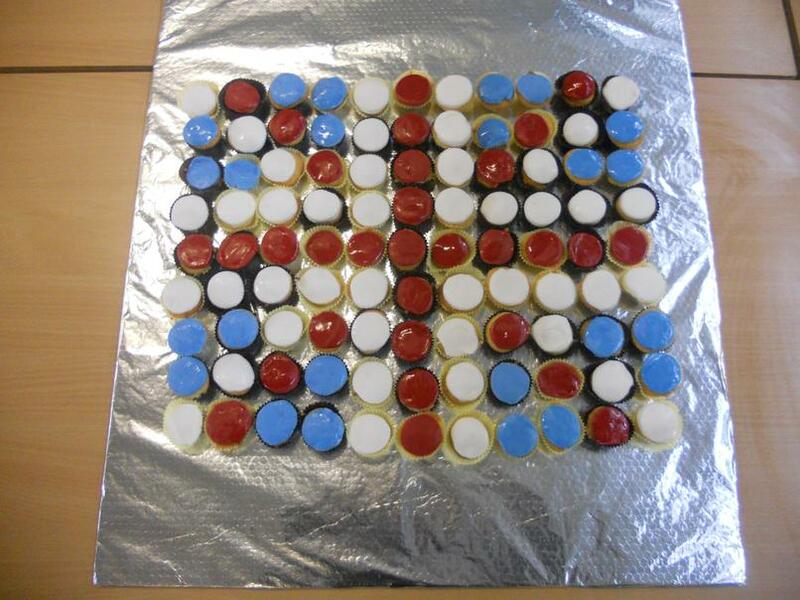 In Computing, Year 3 have been learning about programming. 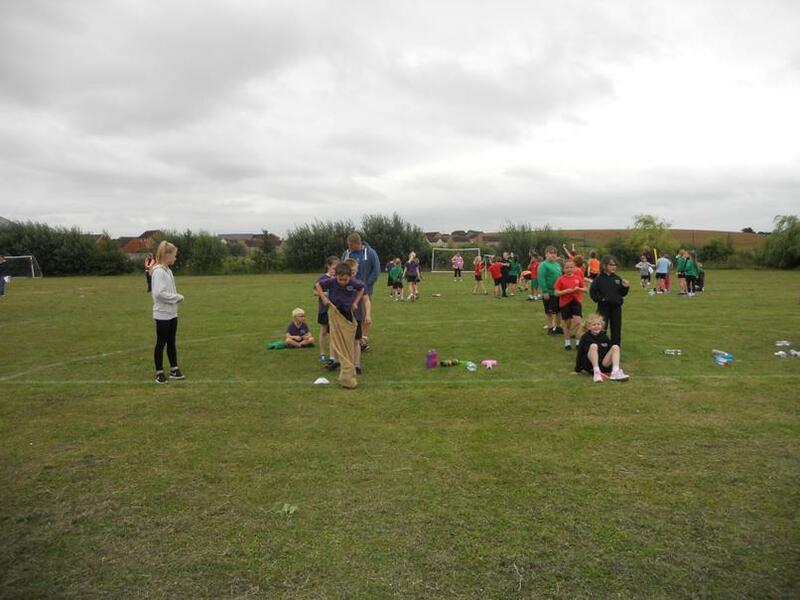 With the help of some Year 6 architects, they built robots and then went on to create a sequence of movements through programming on the iPads. 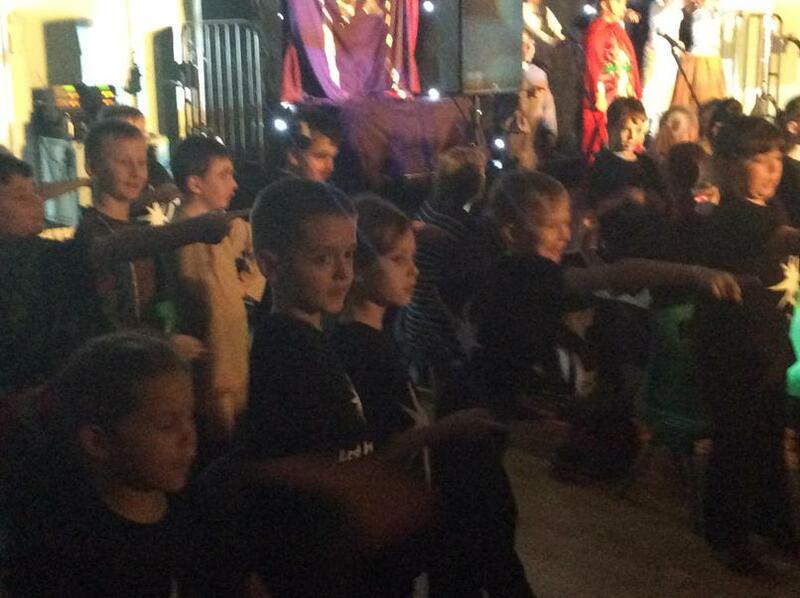 We had some amazing dancing robots! 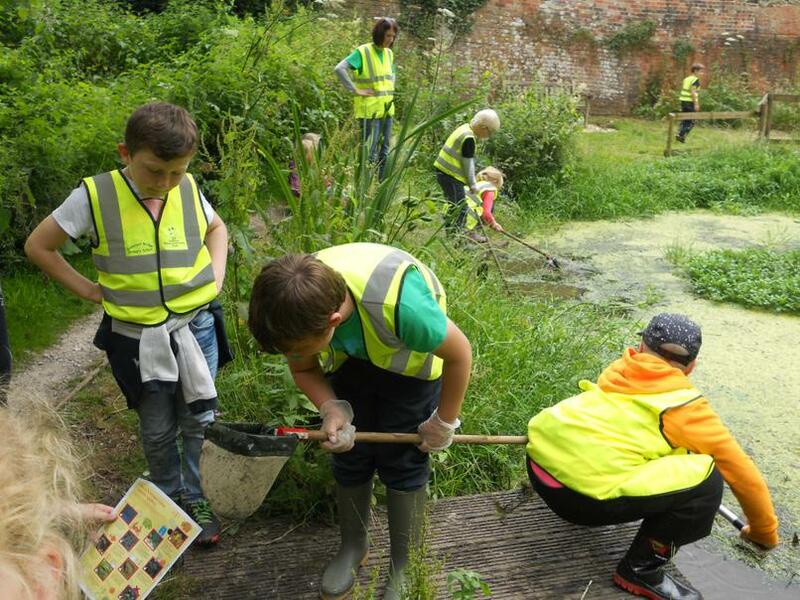 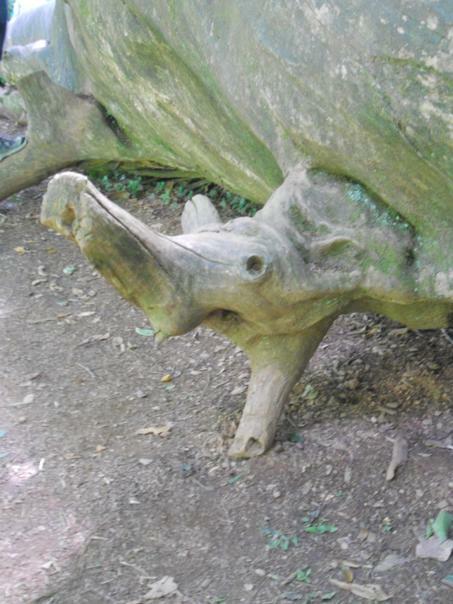 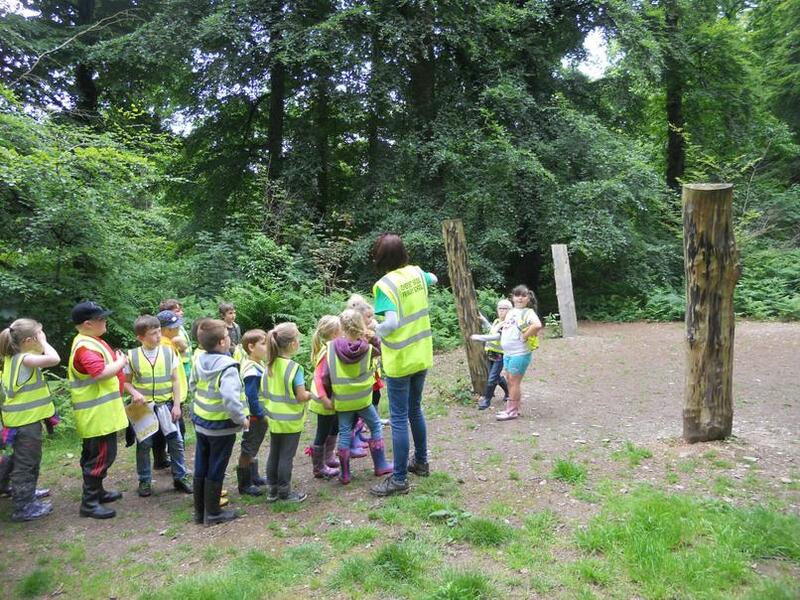 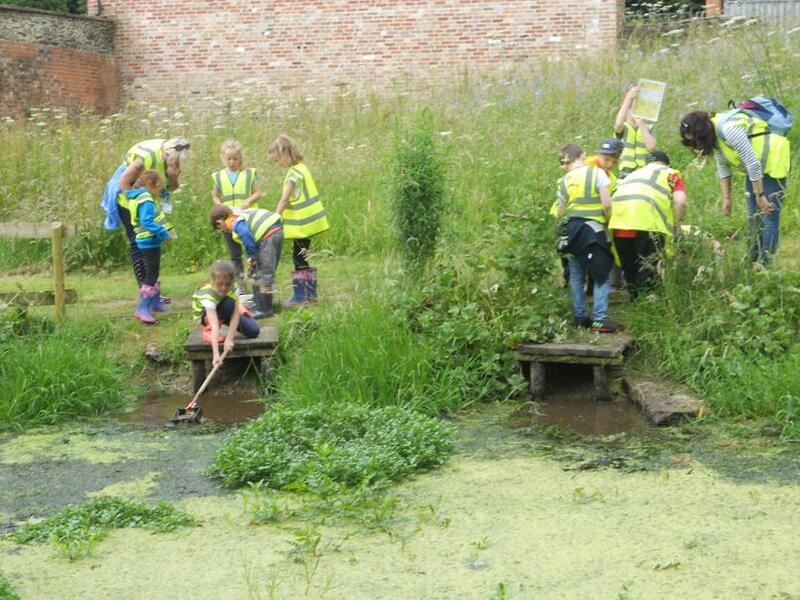 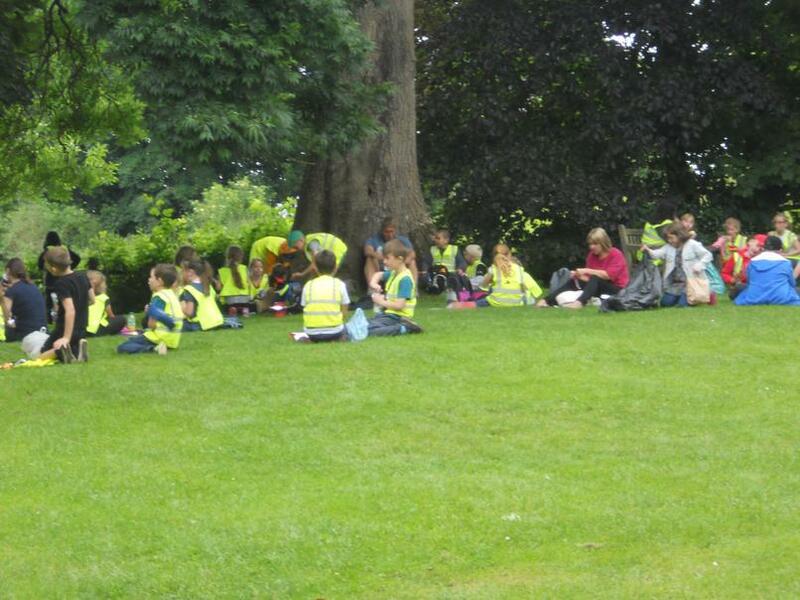 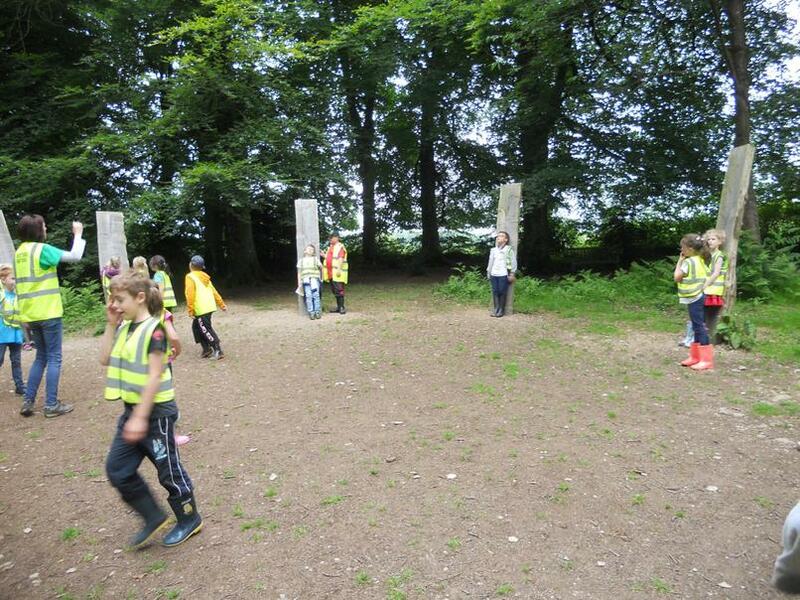 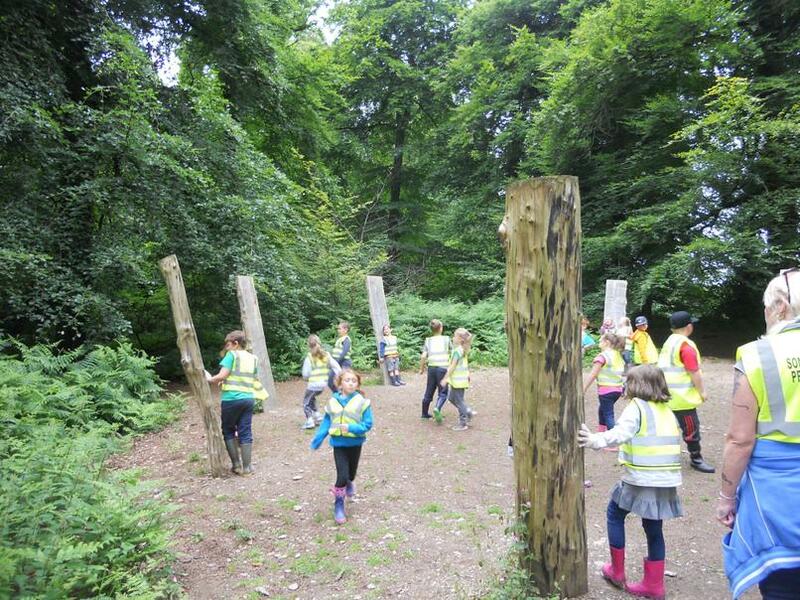 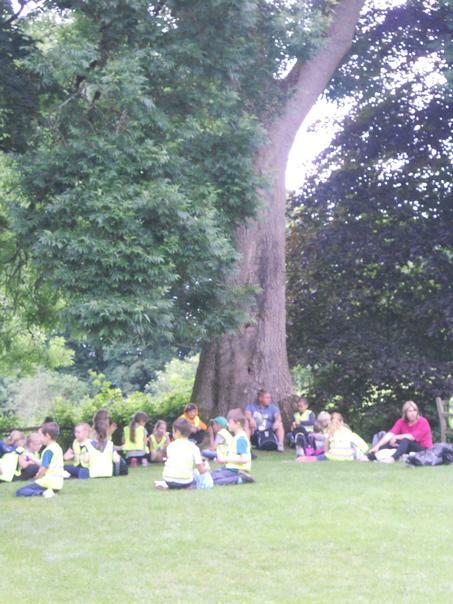 The children all had a great day out at Fyne Court. 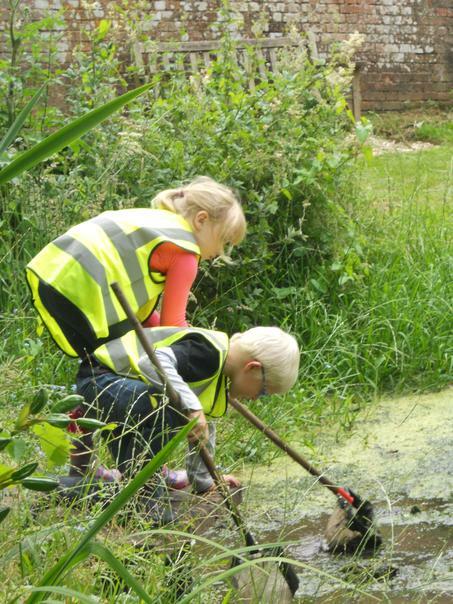 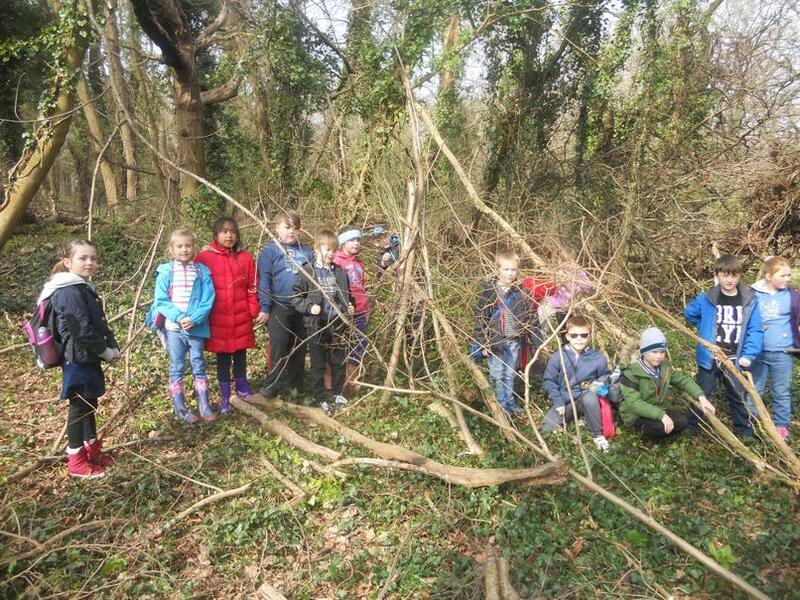 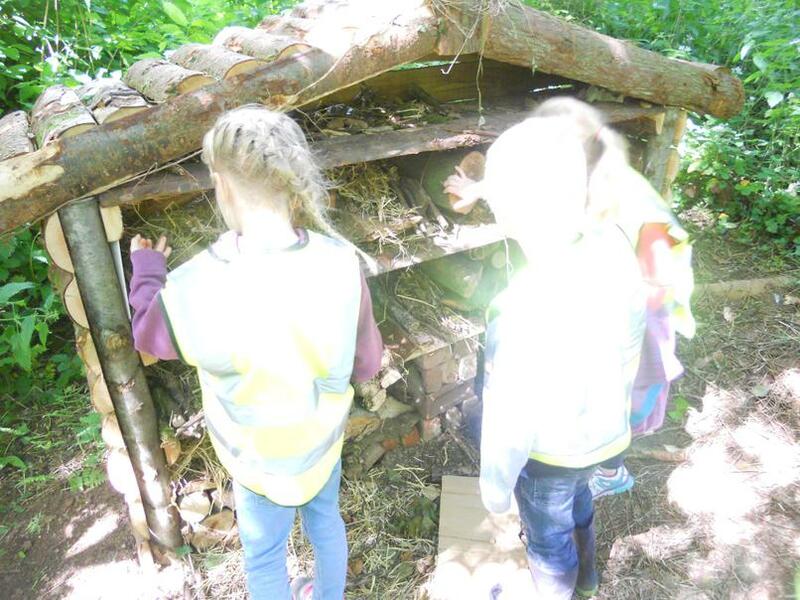 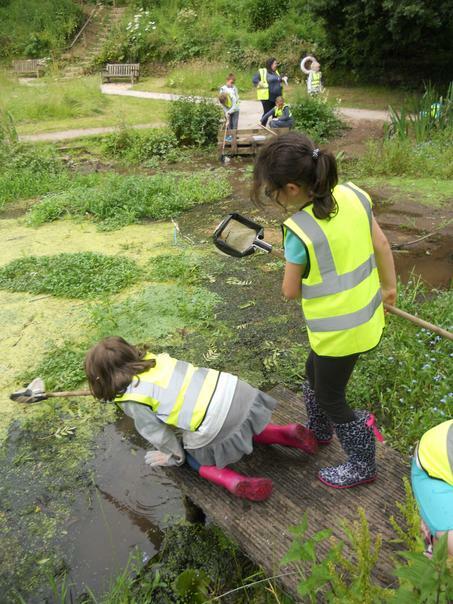 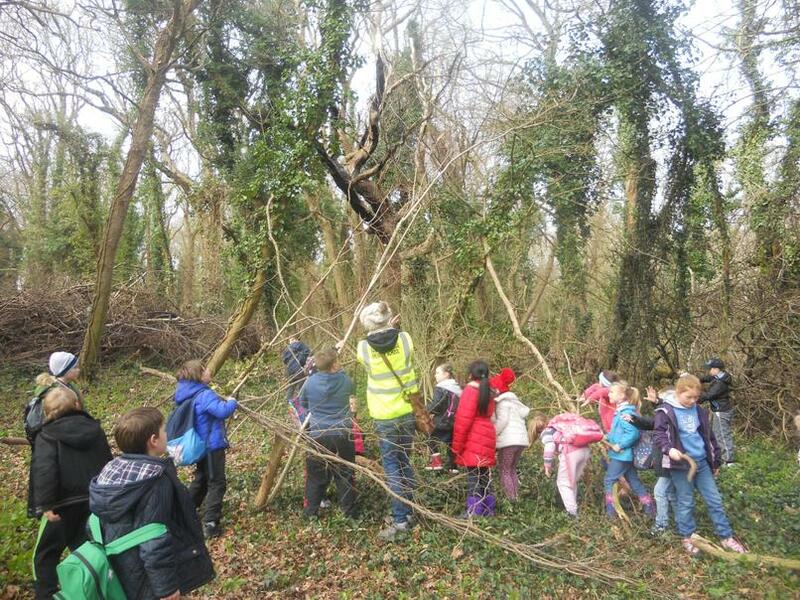 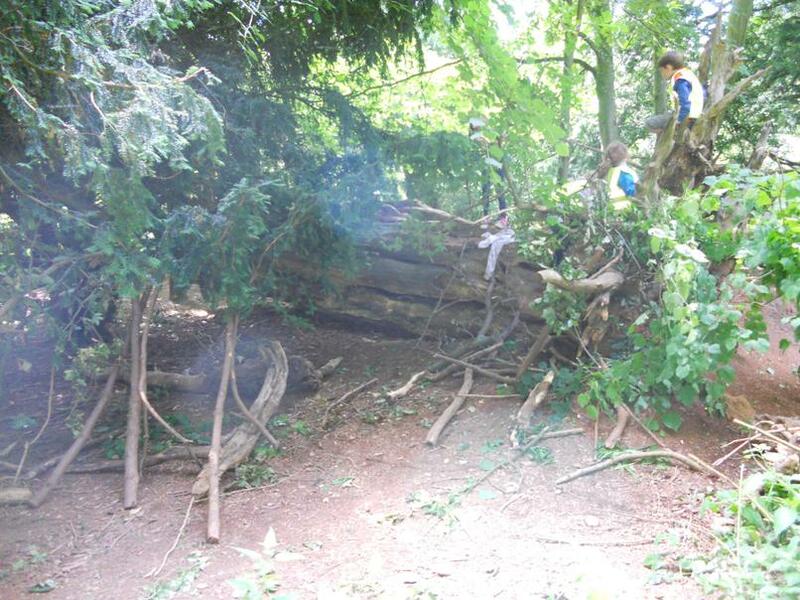 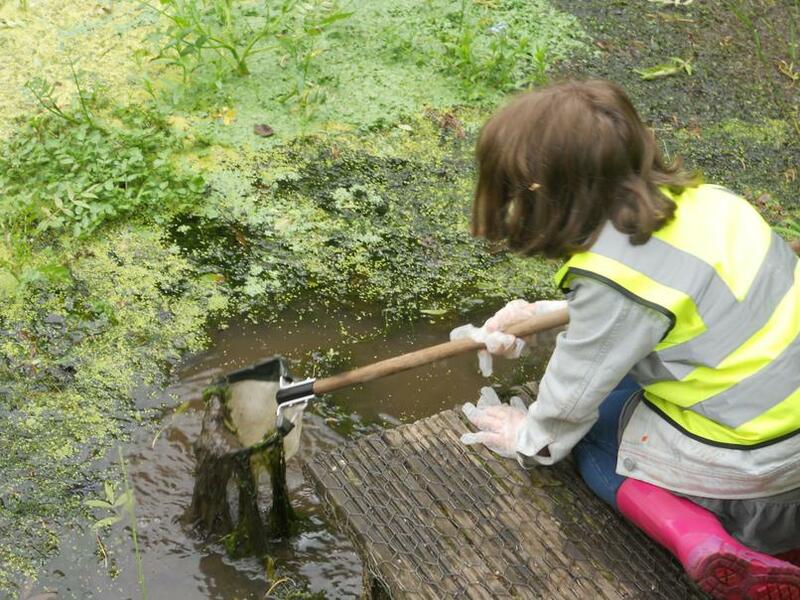 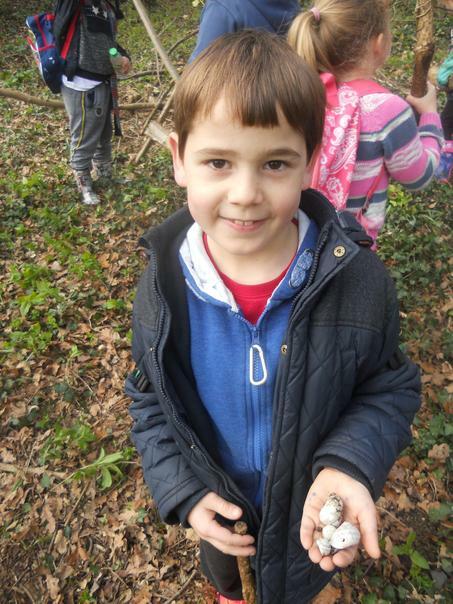 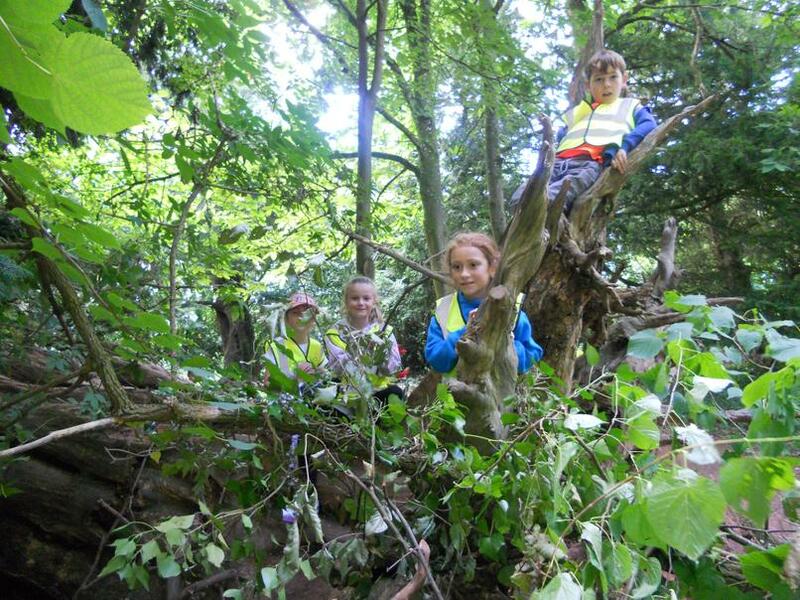 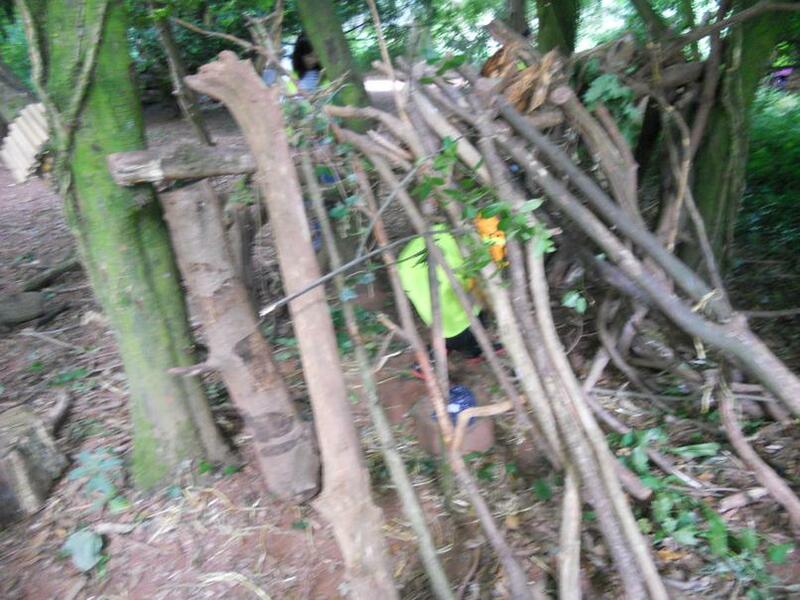 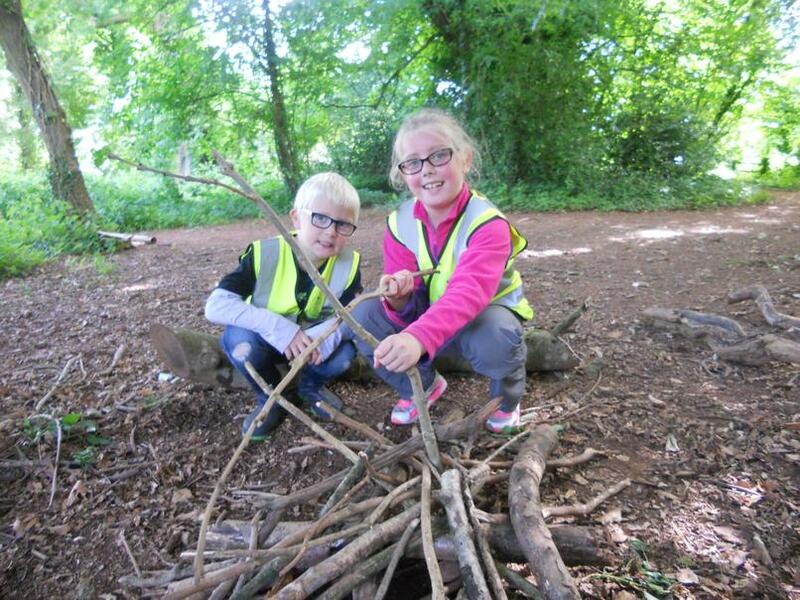 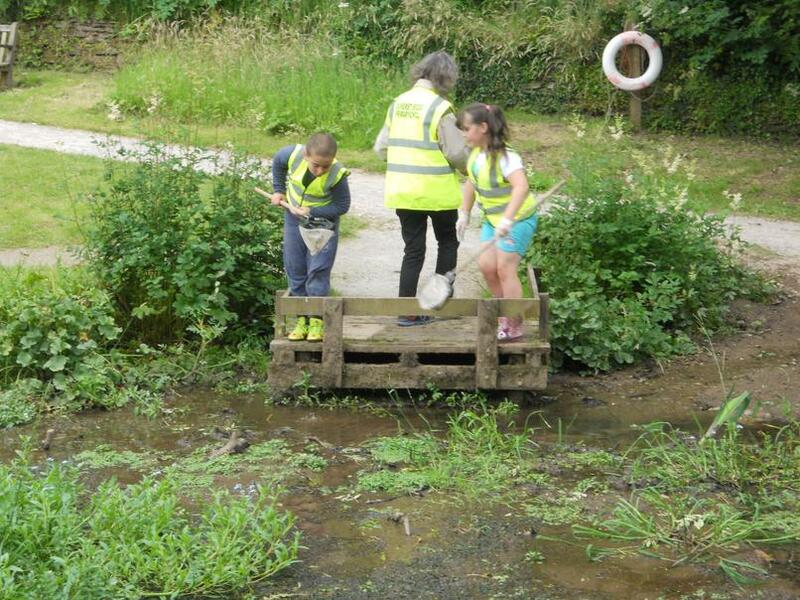 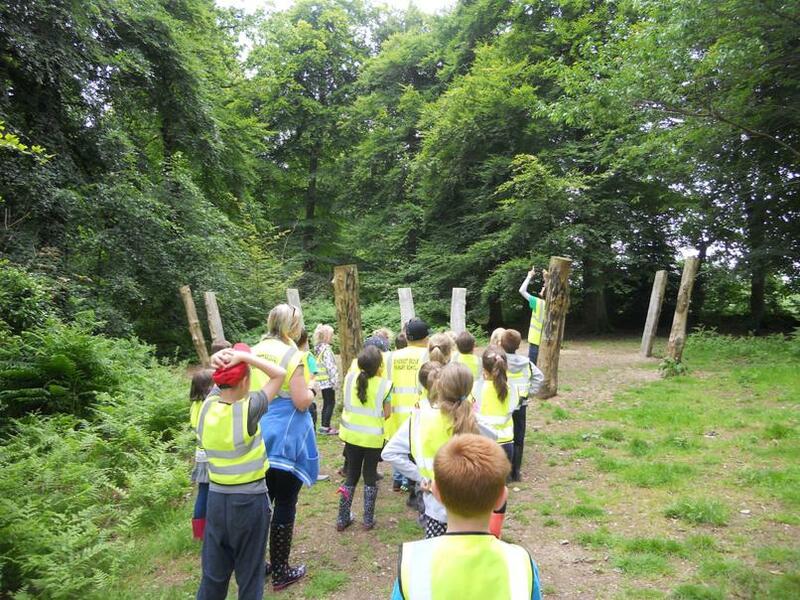 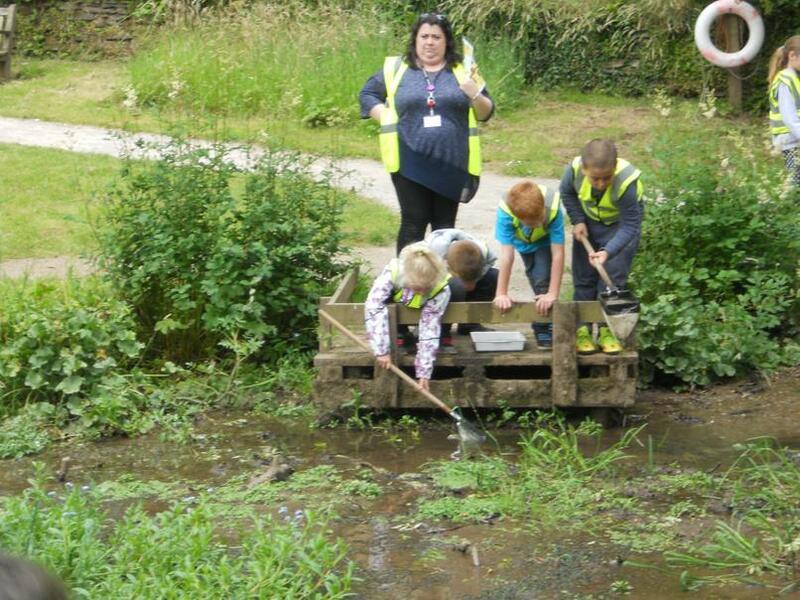 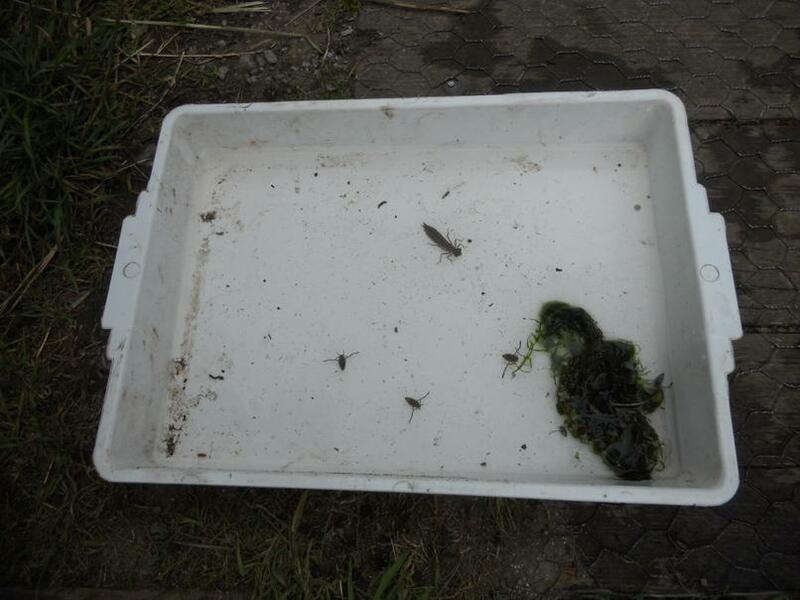 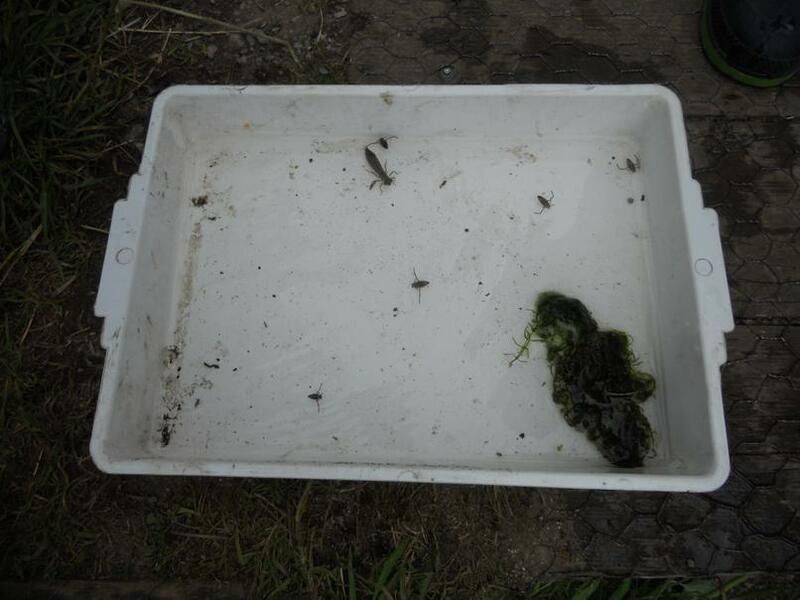 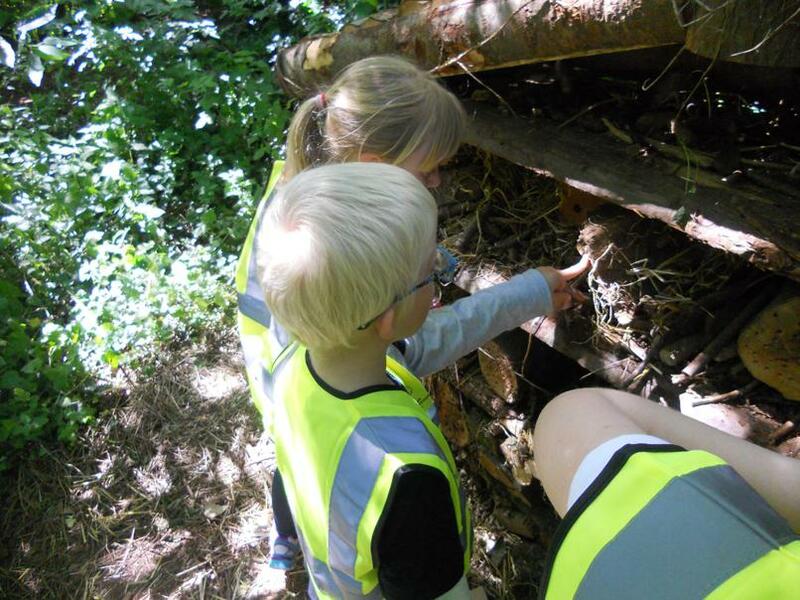 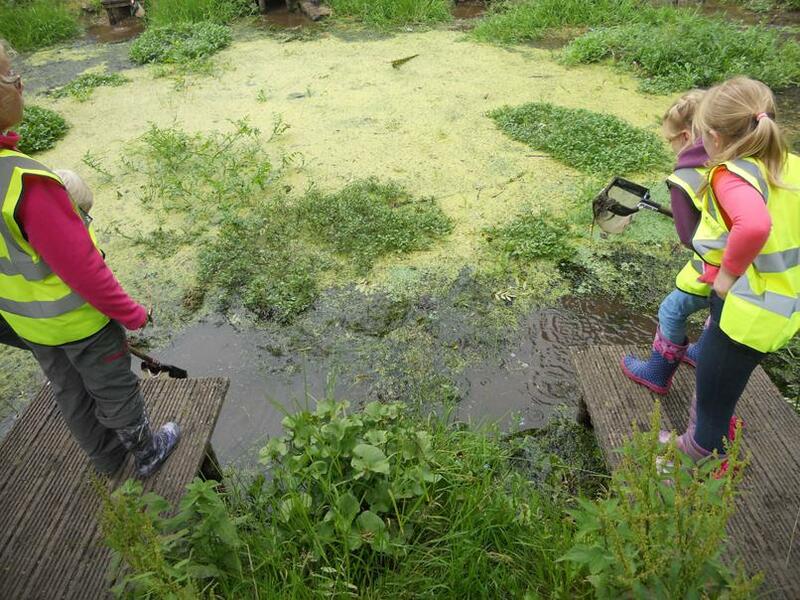 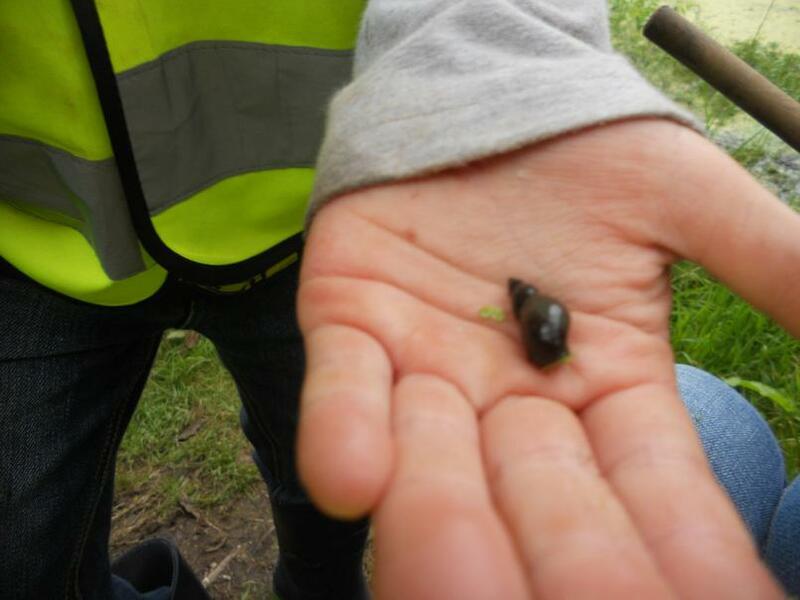 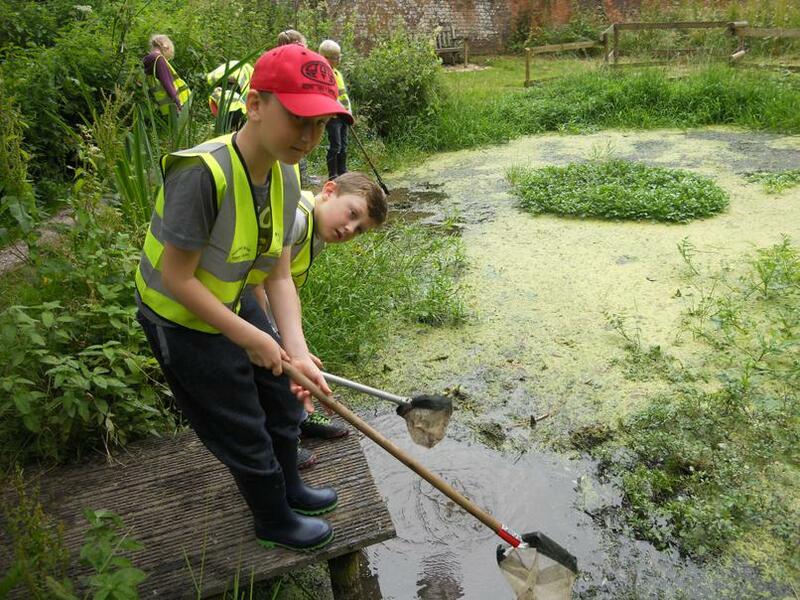 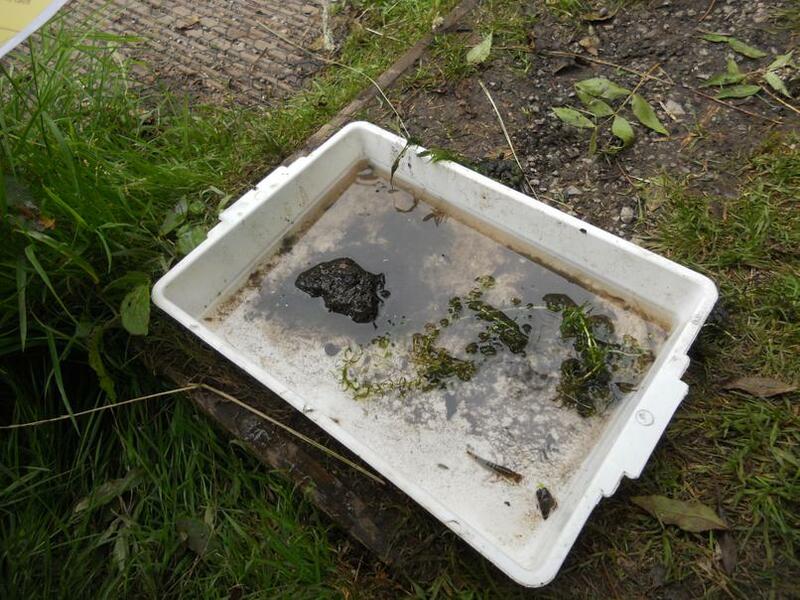 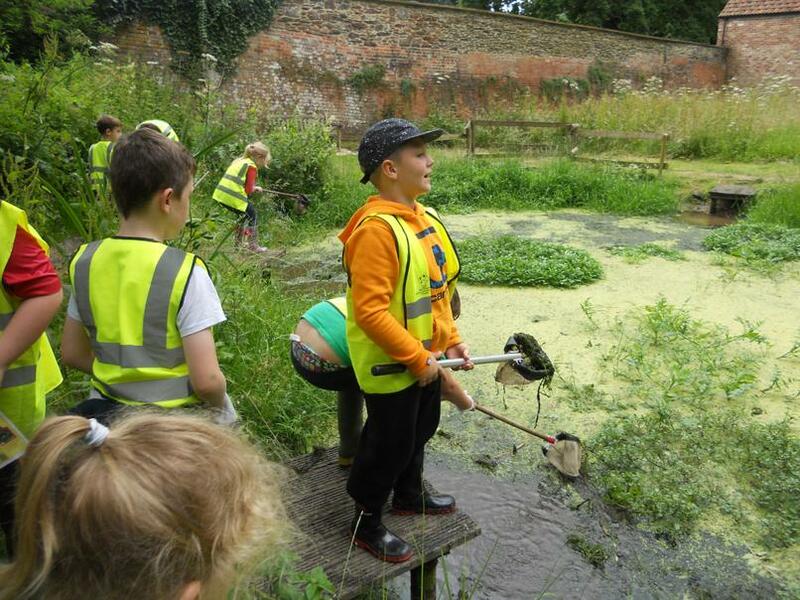 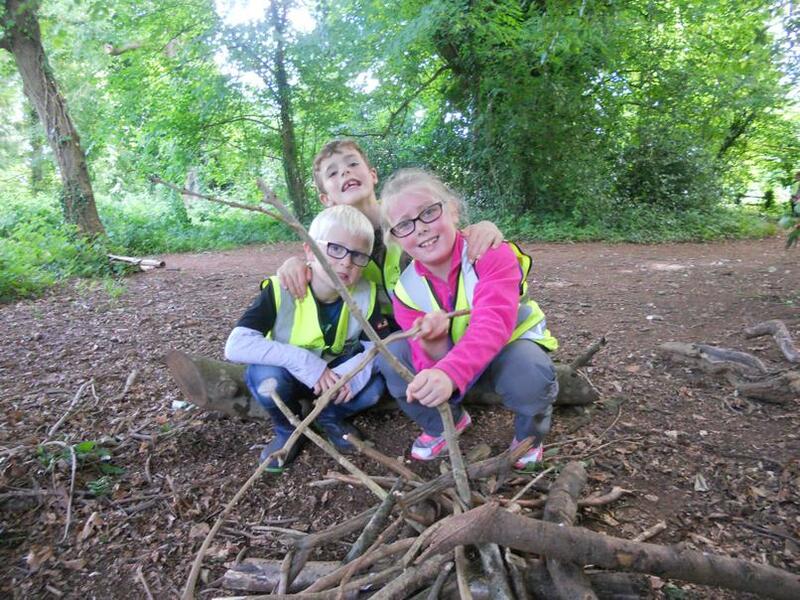 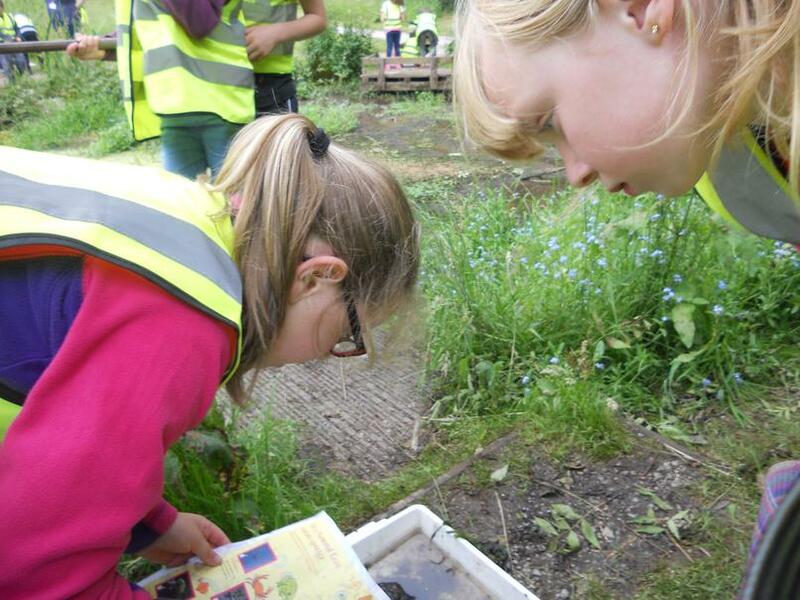 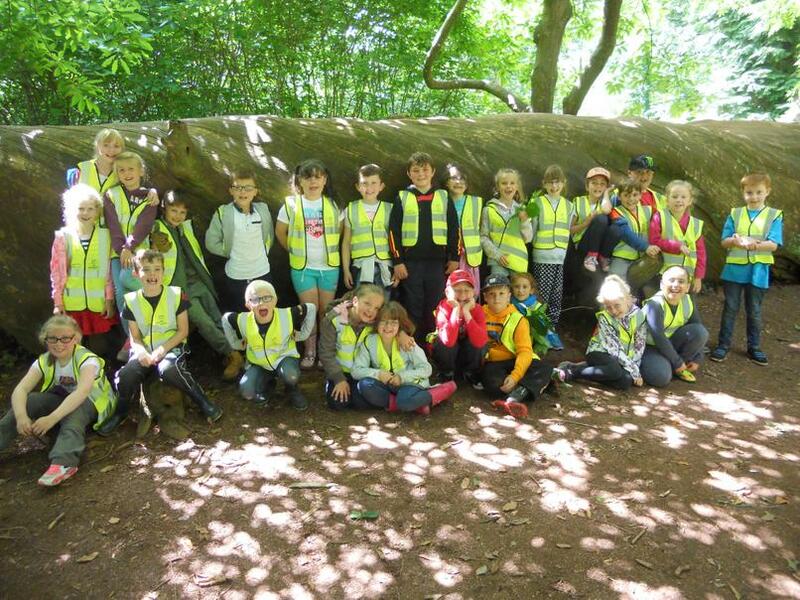 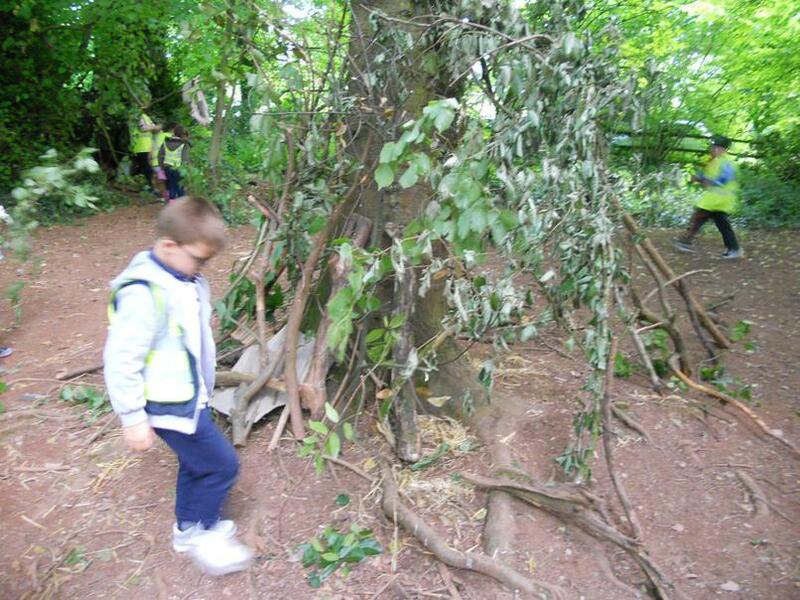 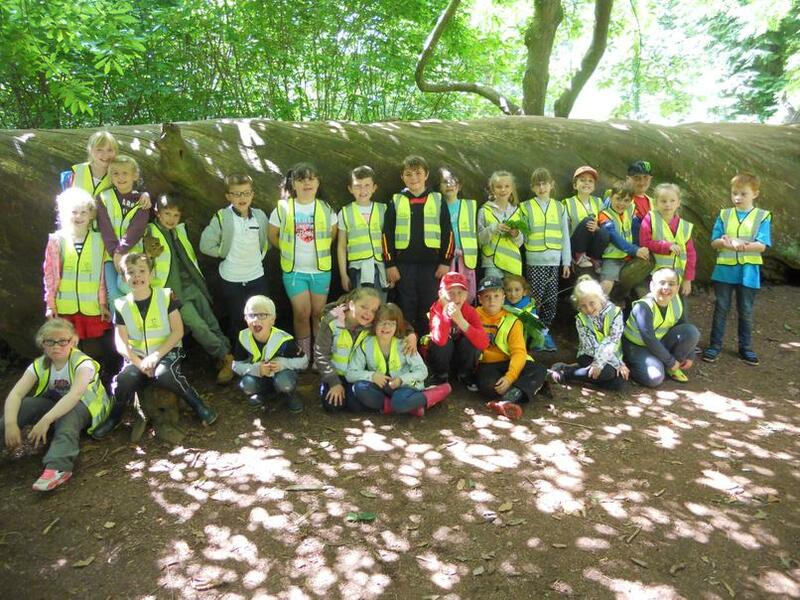 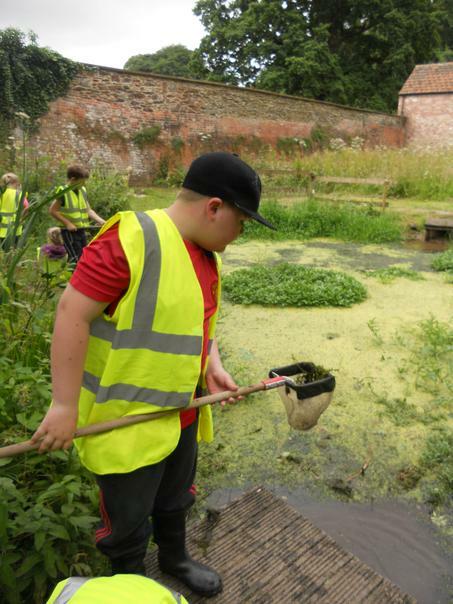 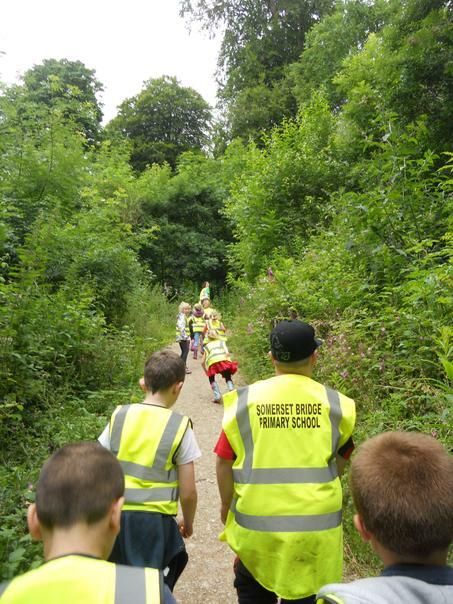 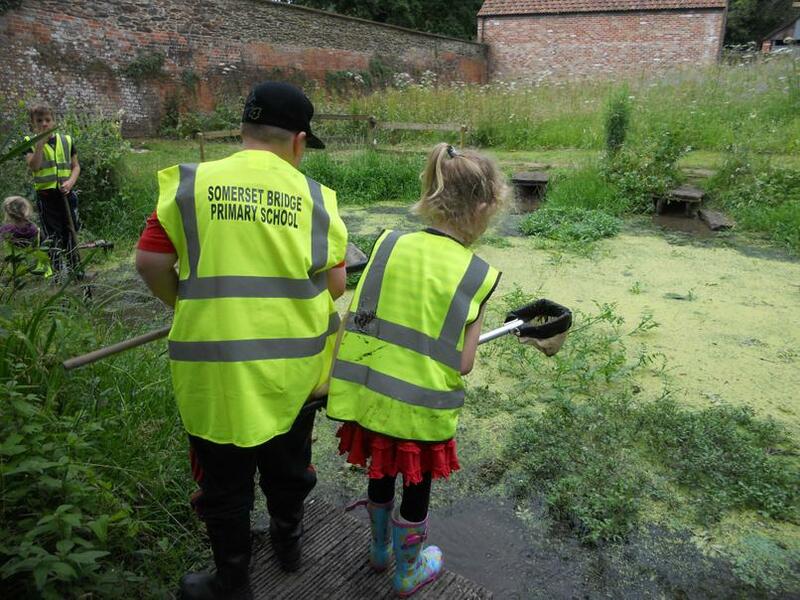 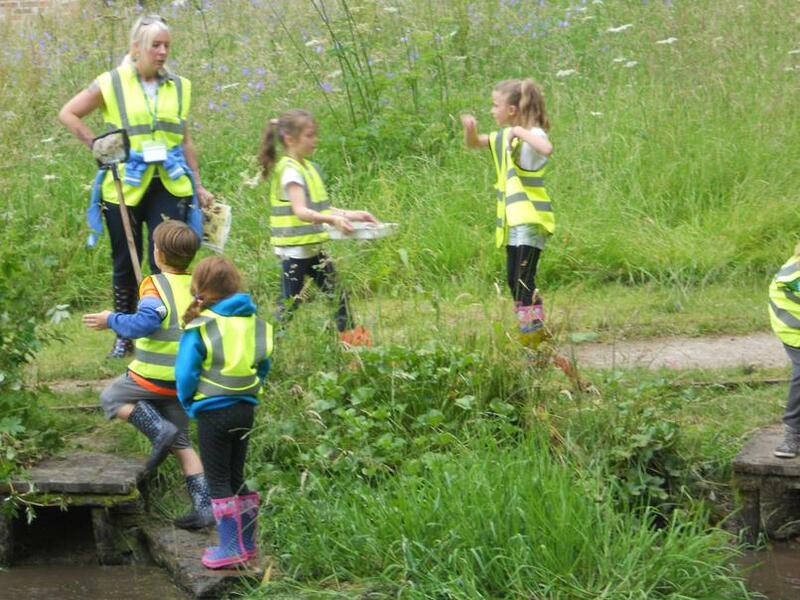 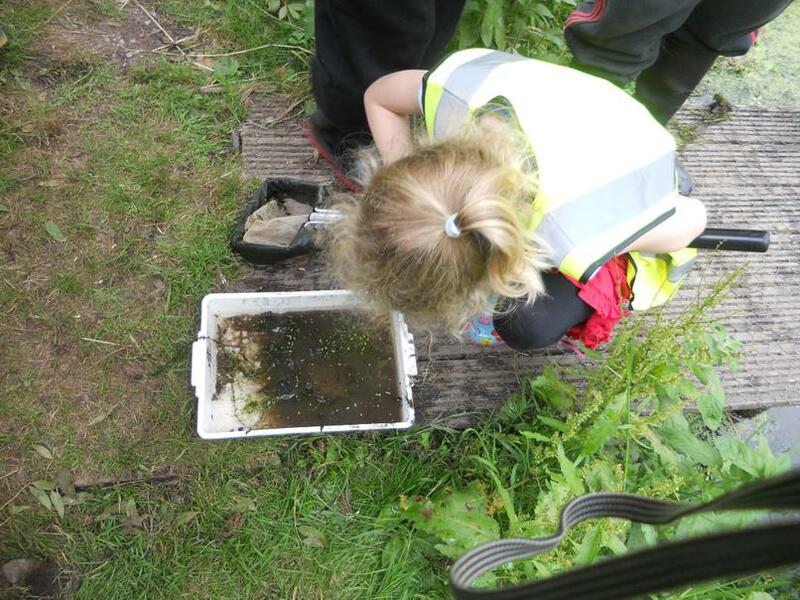 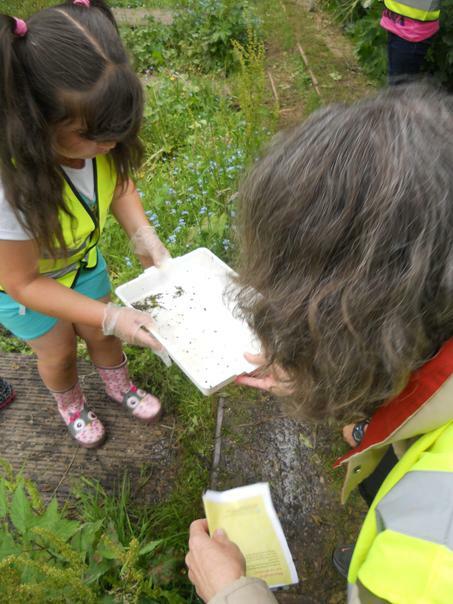 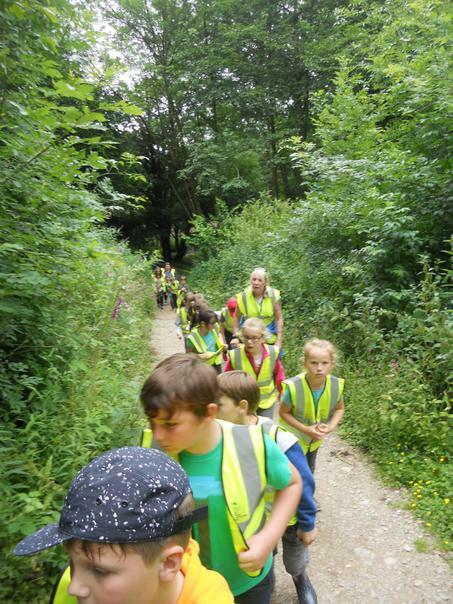 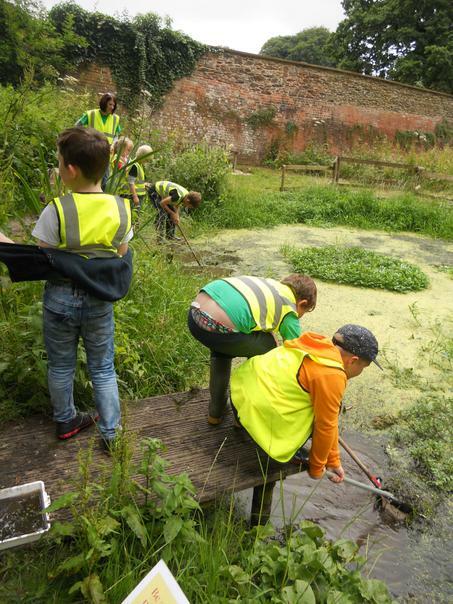 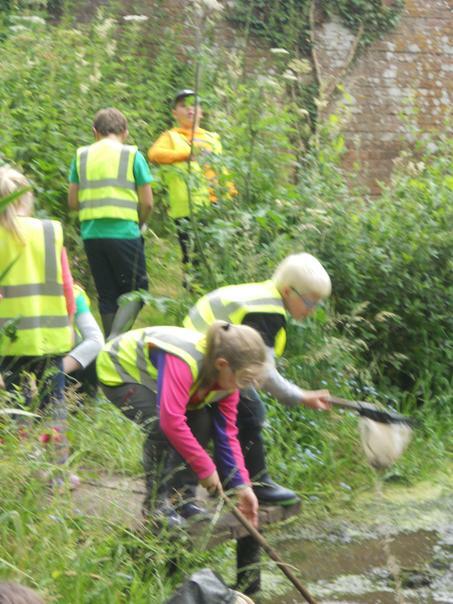 They enjoyed building dens in the woods and dipping in the ponds looking for insects and creatures. 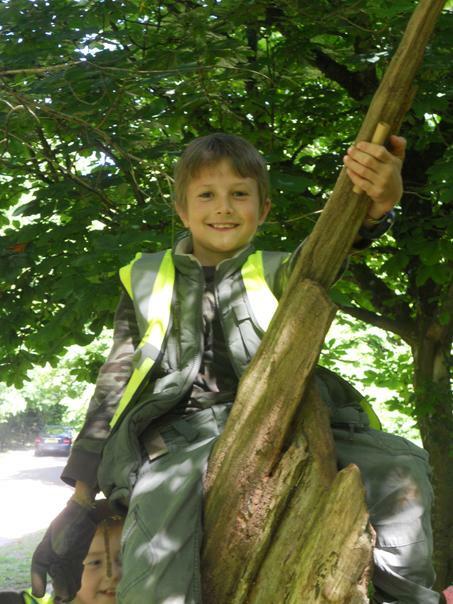 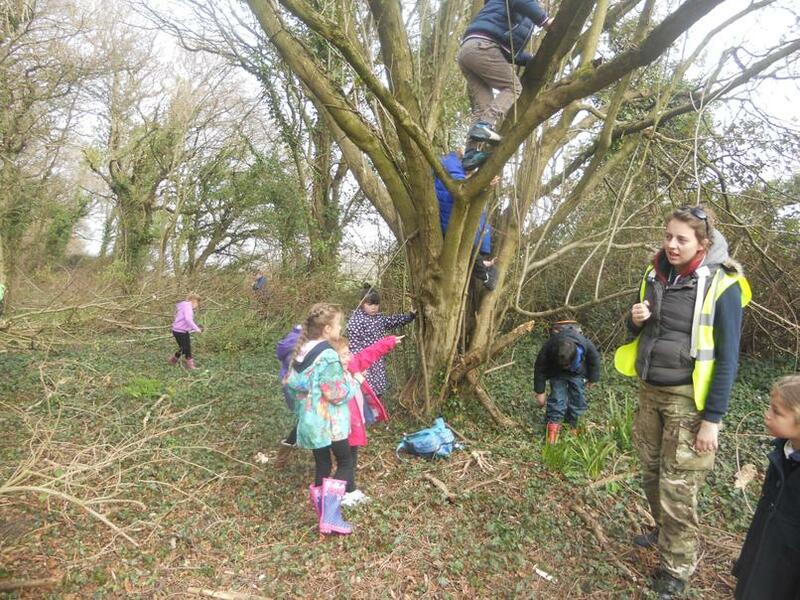 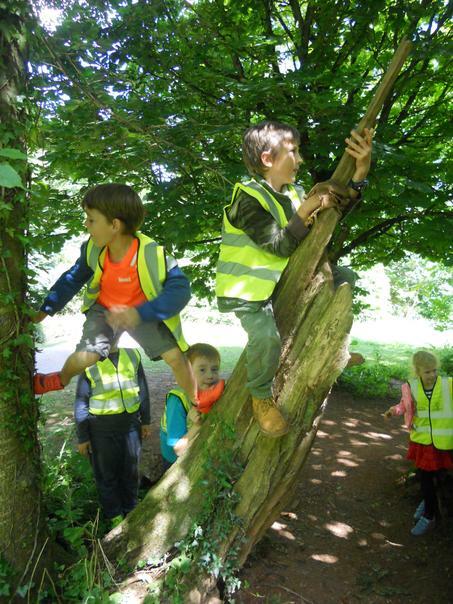 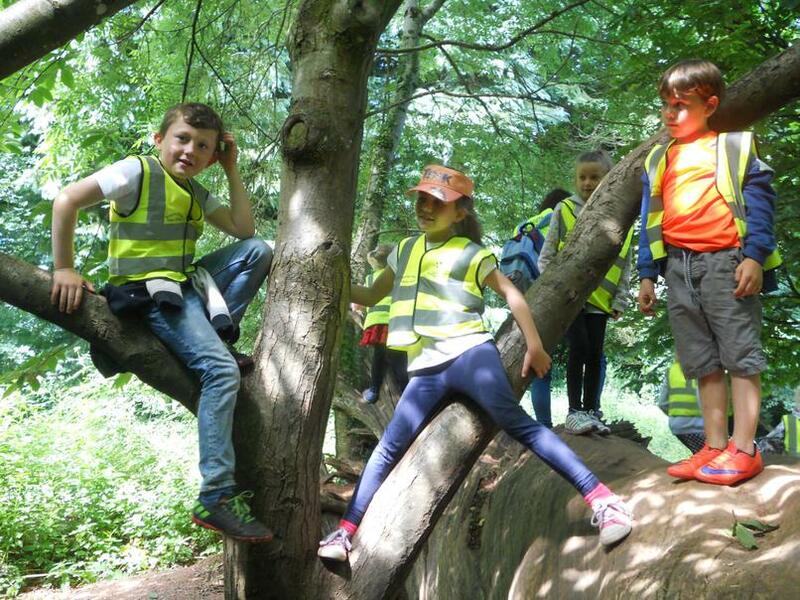 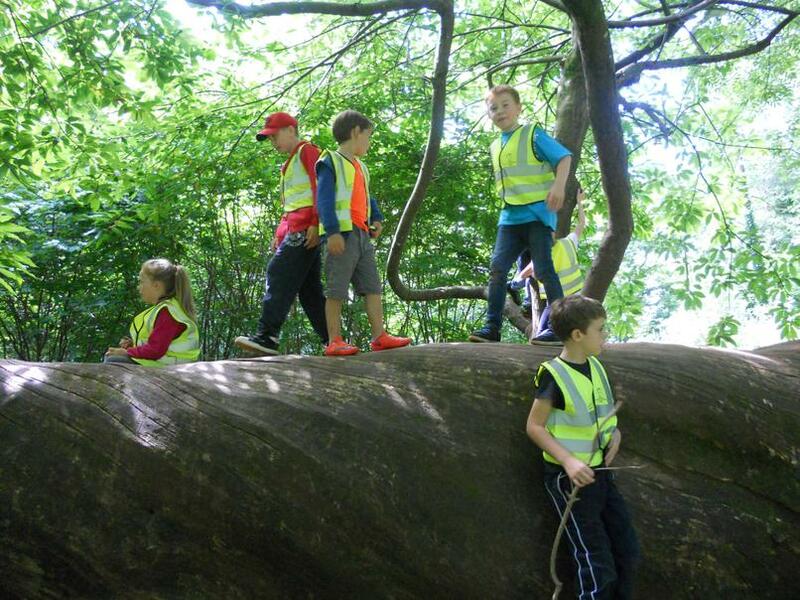 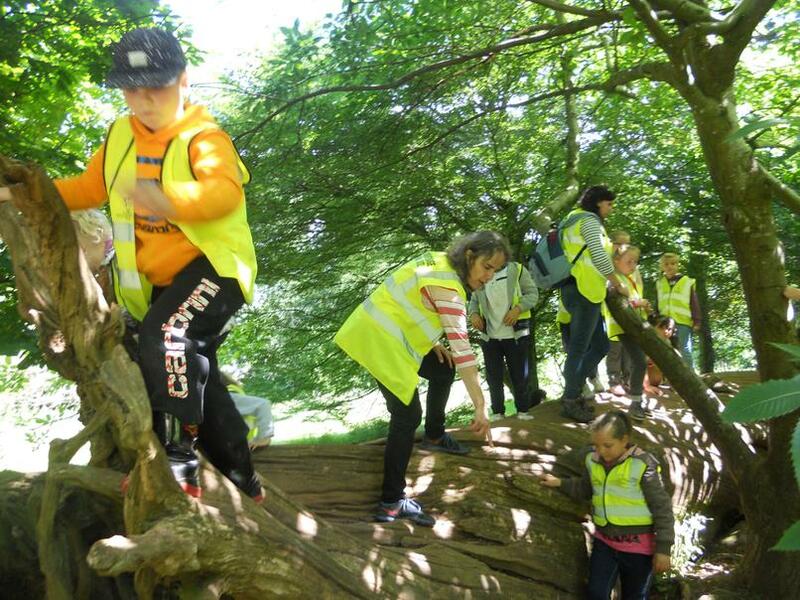 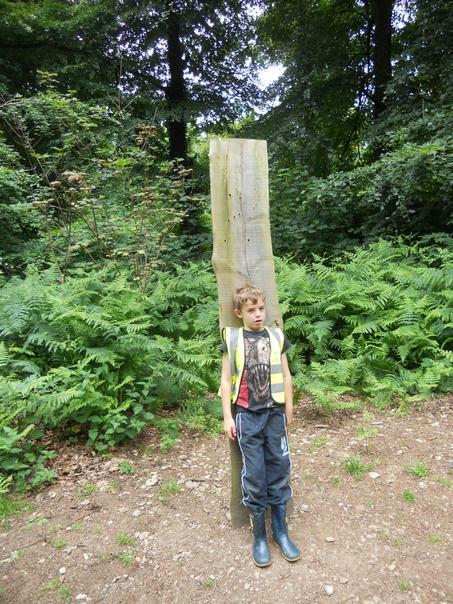 We also had a lot of brave children who explored up the trees. 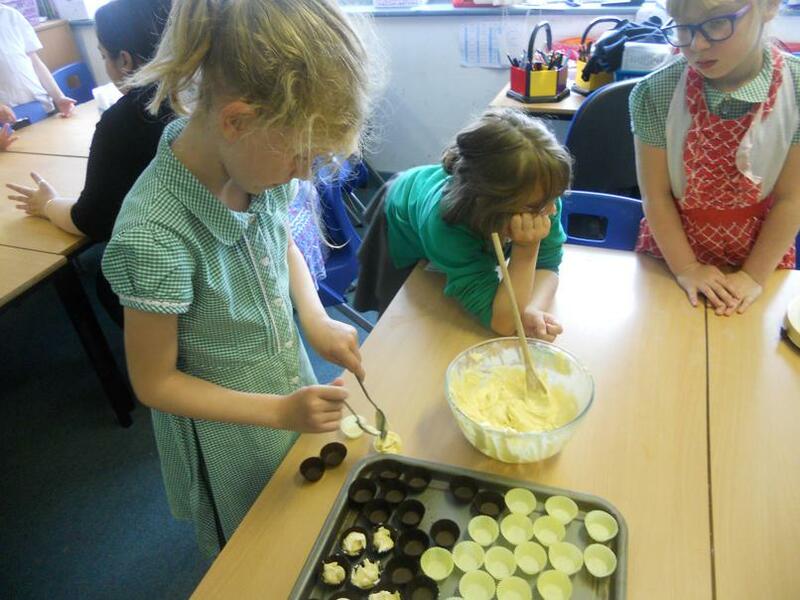 To celebrate the Queen's 90th Birthday, Year 3 and Year 4 joined together for a Queen's Birthday Tea Party. 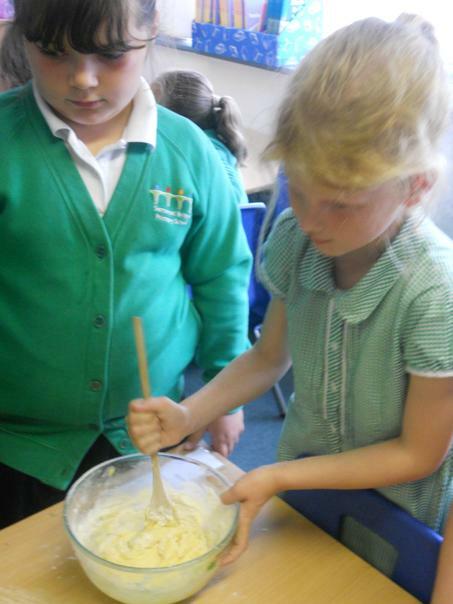 The children enjoyed wearing the crowns they had made whilst eating cake and ice cream. 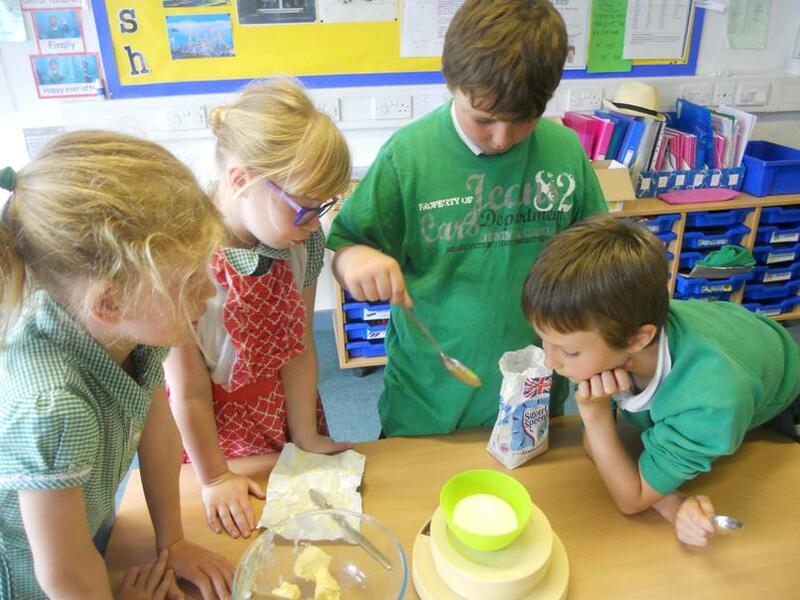 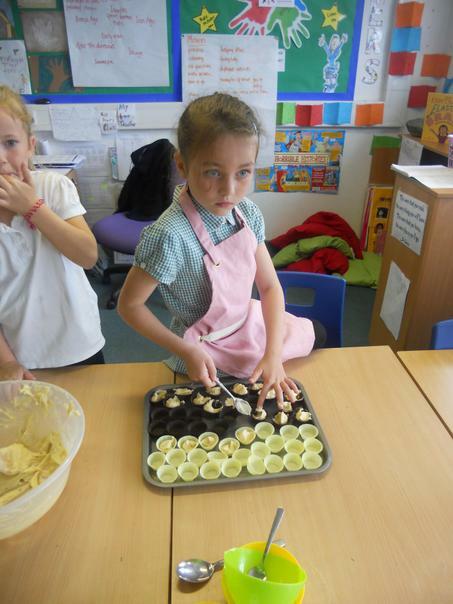 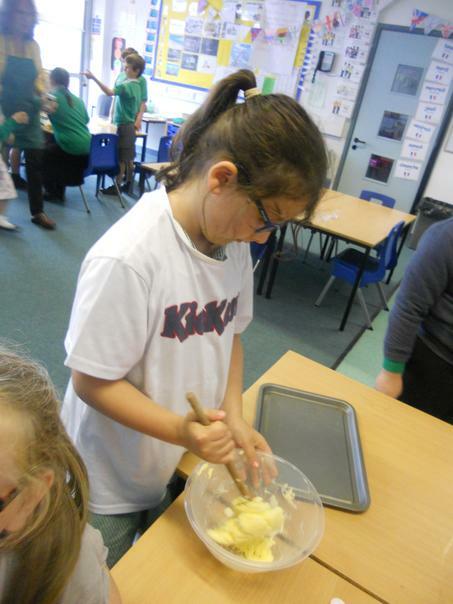 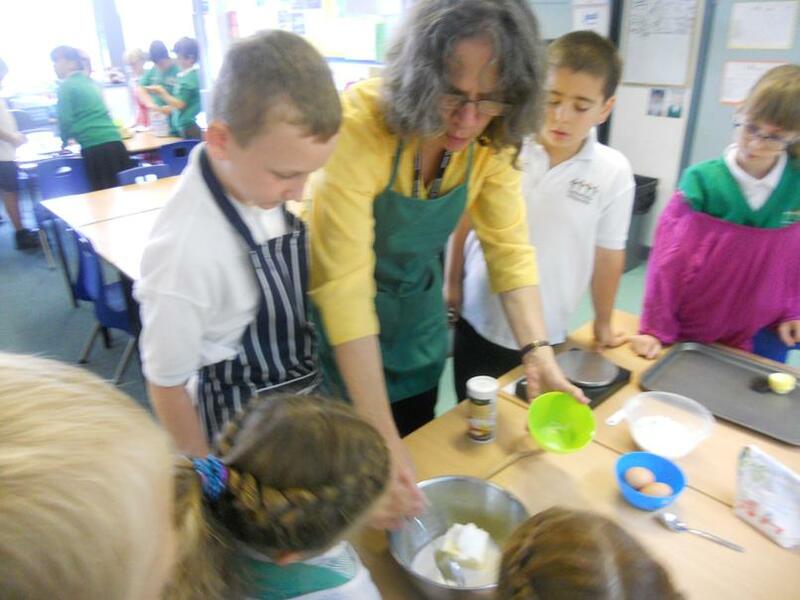 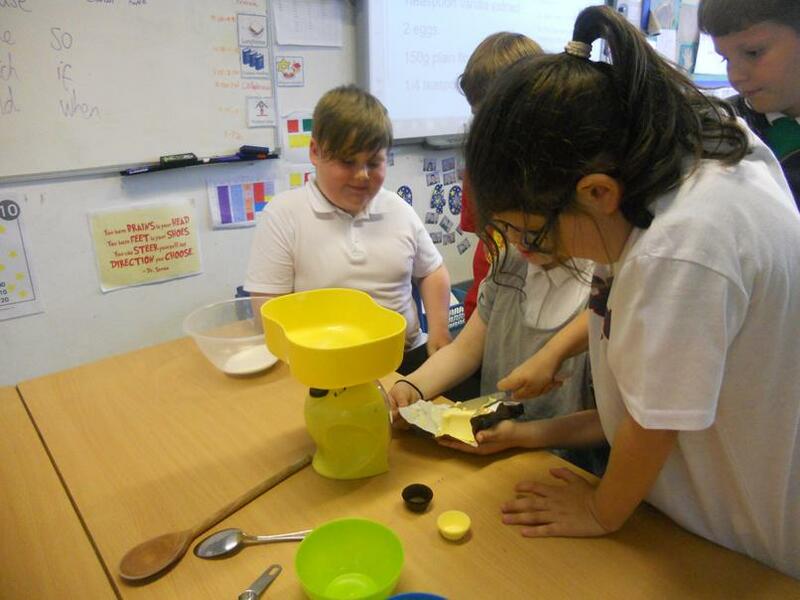 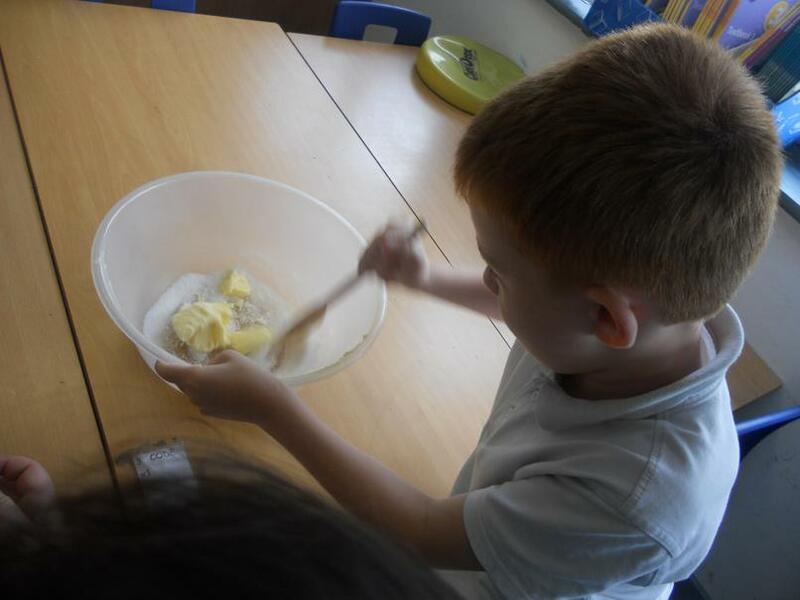 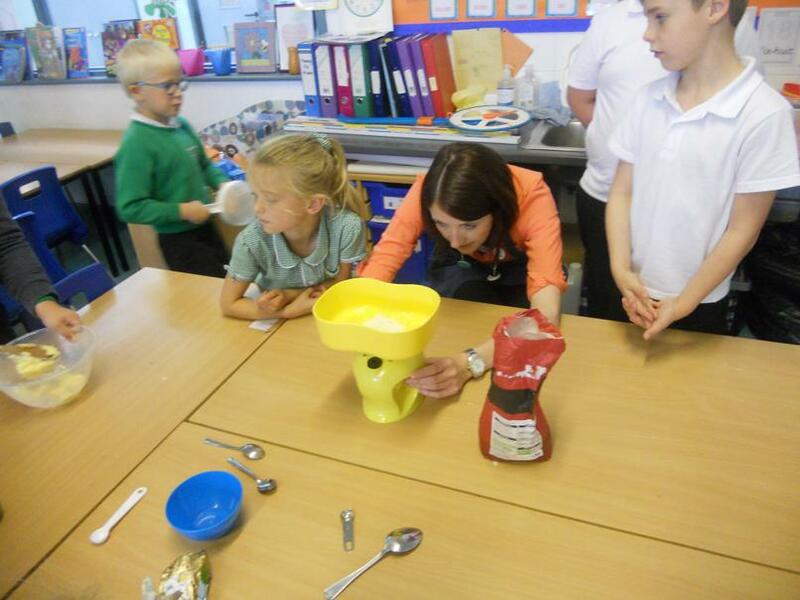 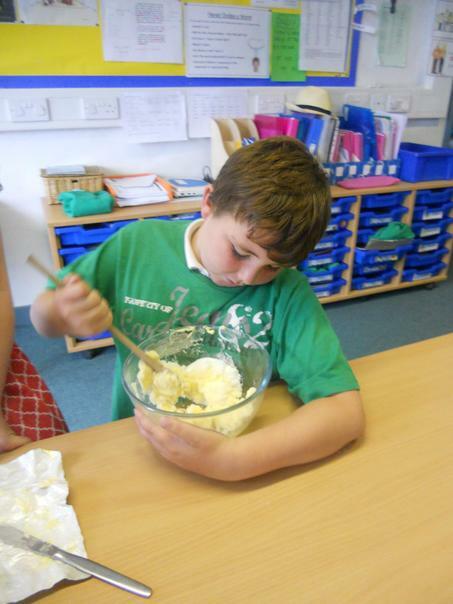 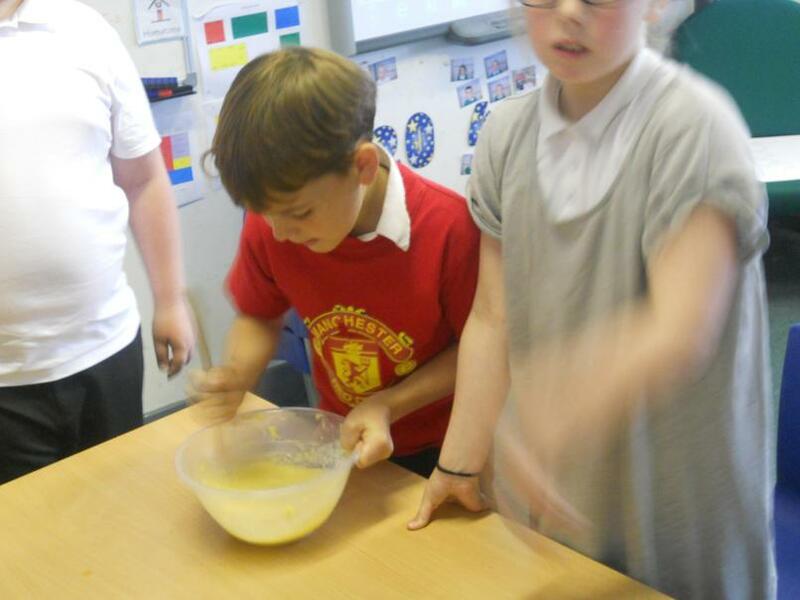 Year 3 had a great time baking for our Olympics themed Bake Off. 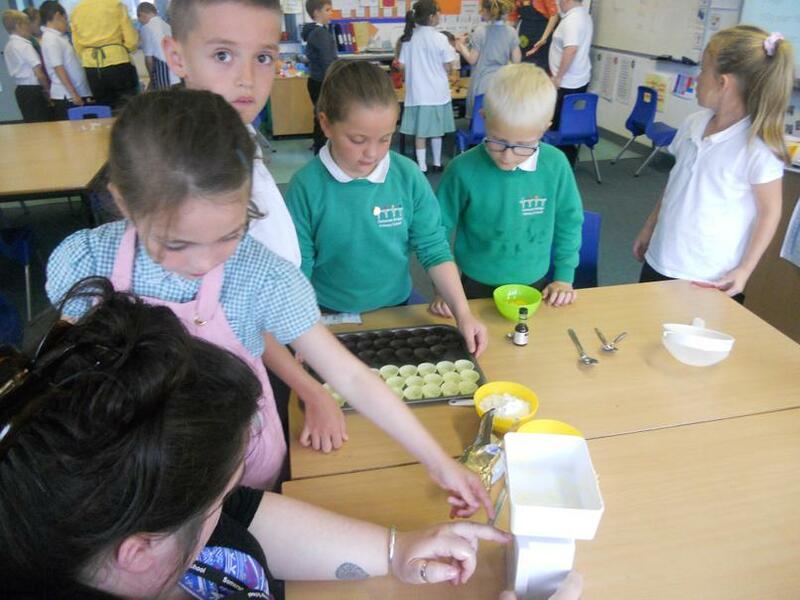 Using our Maths skills, the class weighed and measured to make more than 100 small cupcakes which we then decorated to look like the Union Jack. 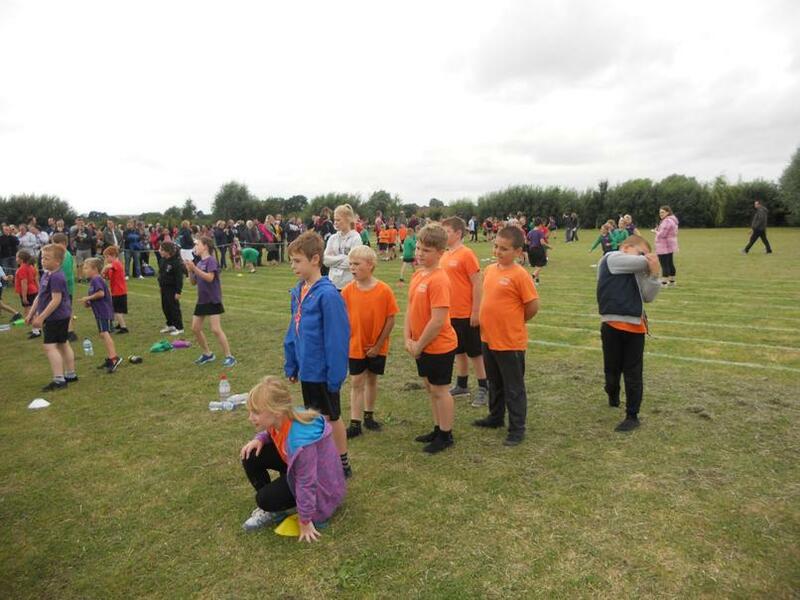 All our hard work paid off and we were awarded the 'Best Looking in KS2' award. 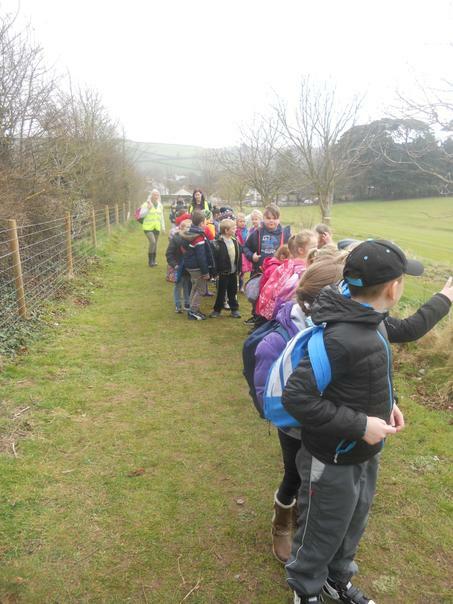 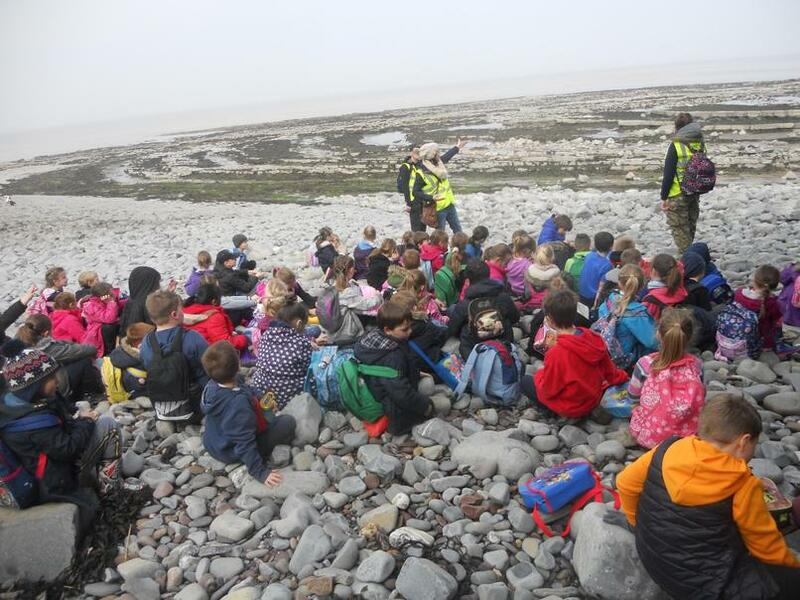 The end of our topic this term resulted in us visiting a local coastline. 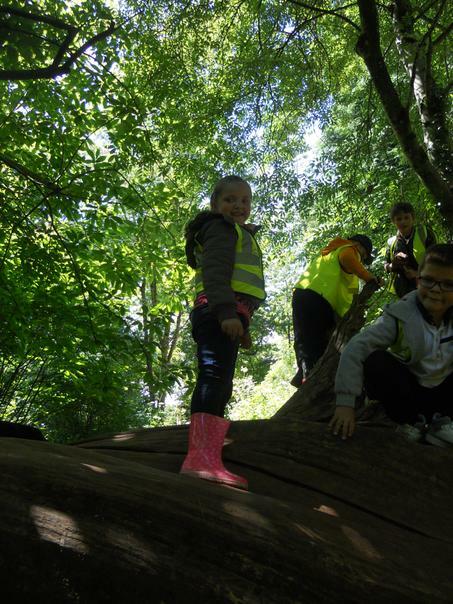 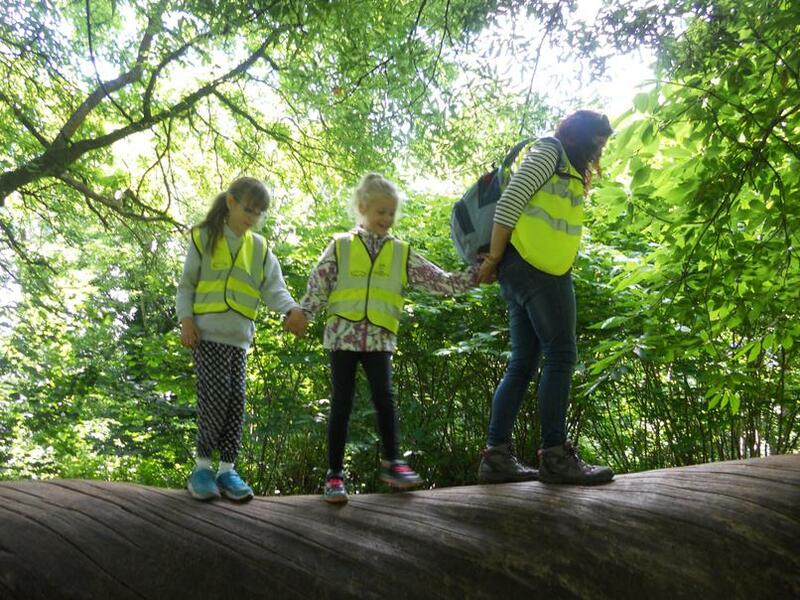 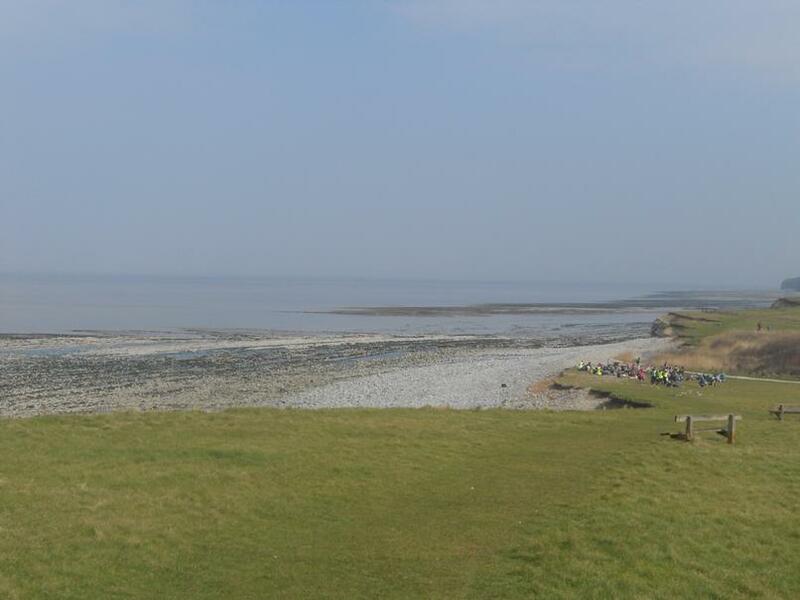 We had a fantastic day exploring the woods and coast of Kilve, comparing the environment to that of our school environment and identifying features we have learnt about in the classroom. 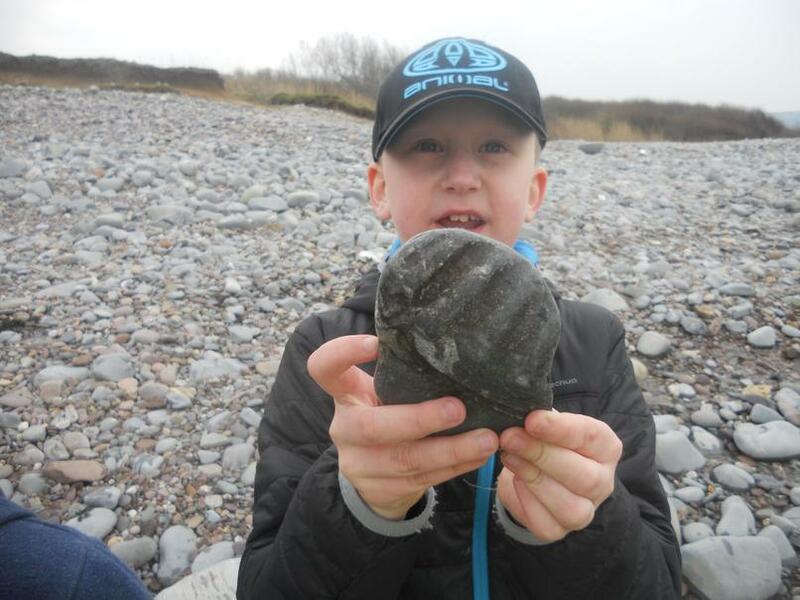 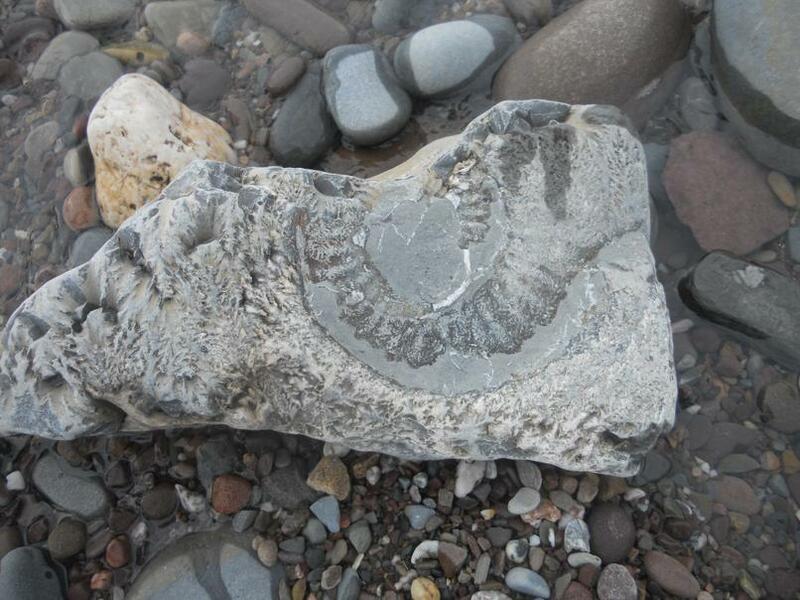 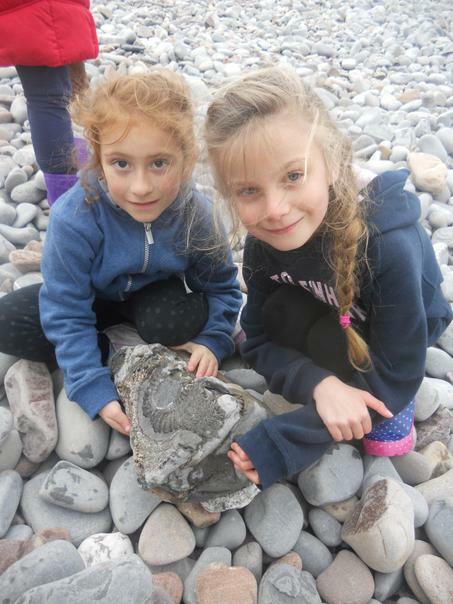 Everyone was fantastically behaved and got fully involved in fossil hunting on the beach! 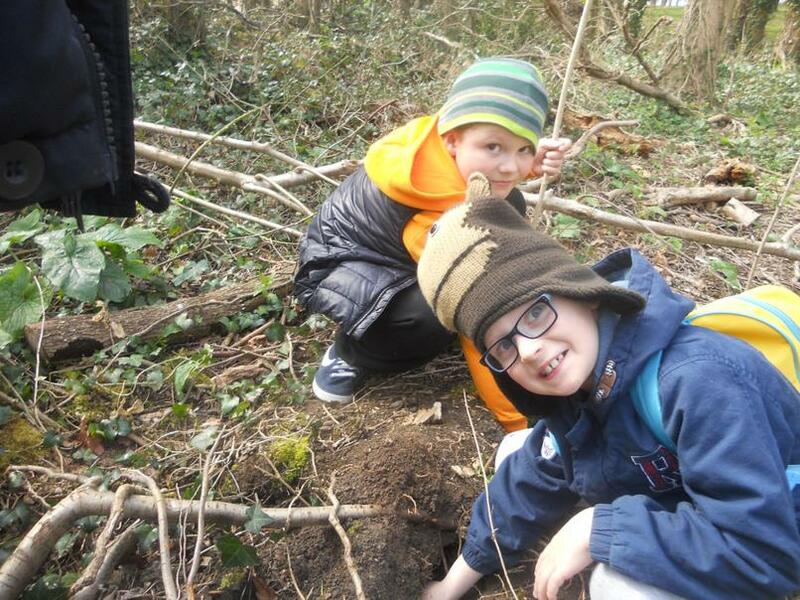 We have spent a lot of the Spring Term learning about living things, particularly focusing on plants. 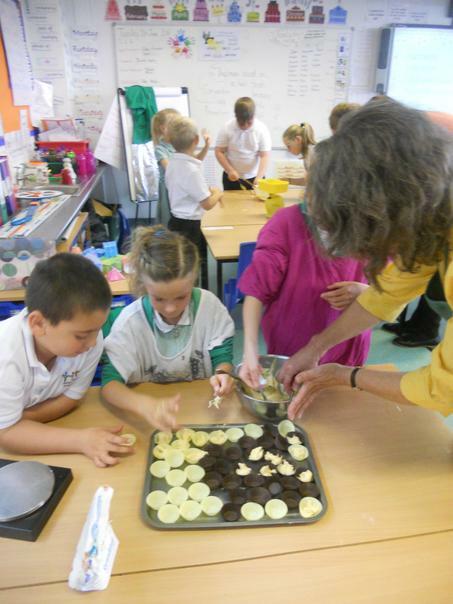 We have learnt how plants make their own food, how plants reproduce and investigated what plants need to grow. 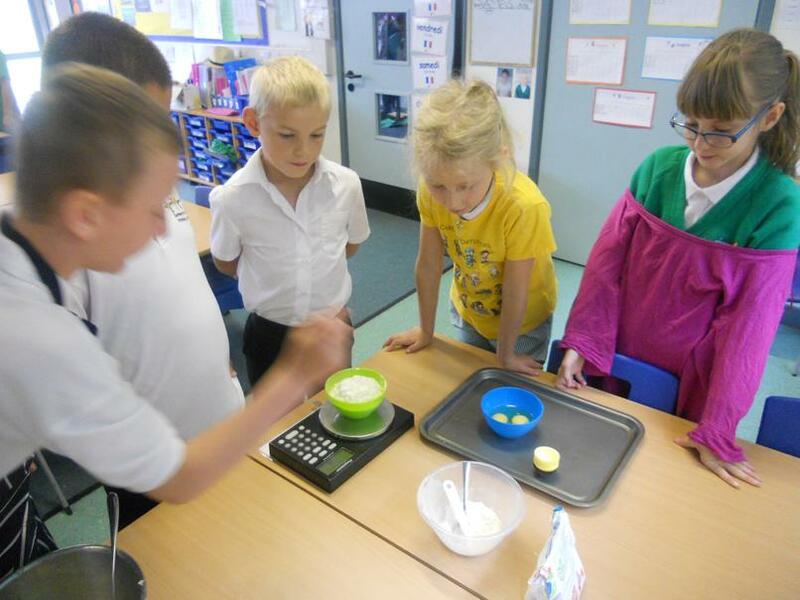 We decided on different conditions to grow the plants and measured each plant, making observations in a table. 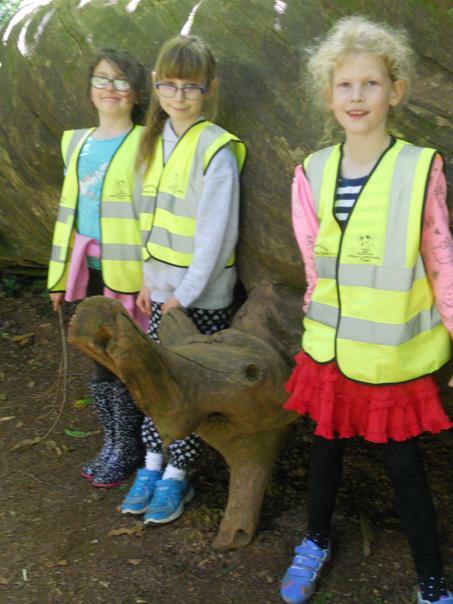 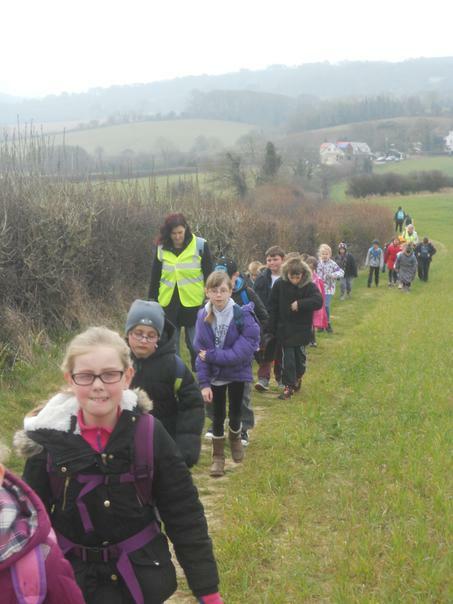 Year 3 visit the Museum of Somerset. 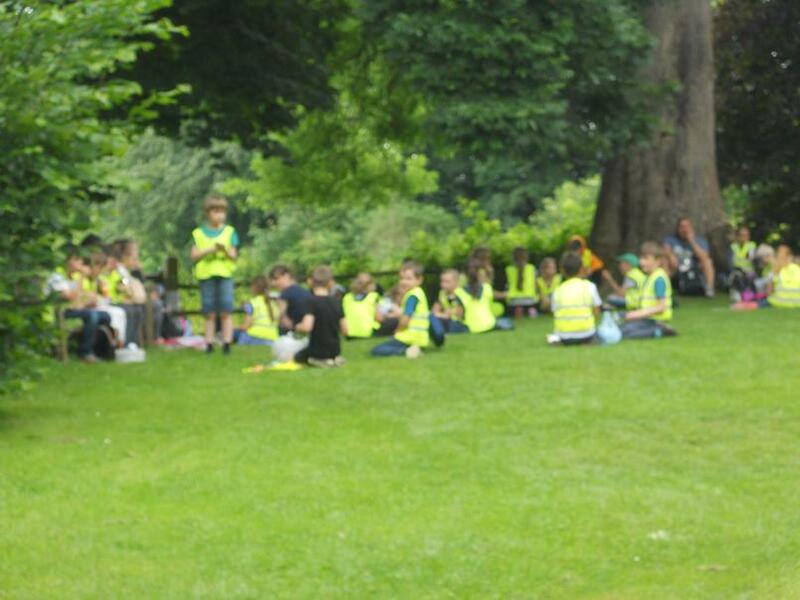 Year 3 had a fantastic day as Romans at the Museum of Somerset. 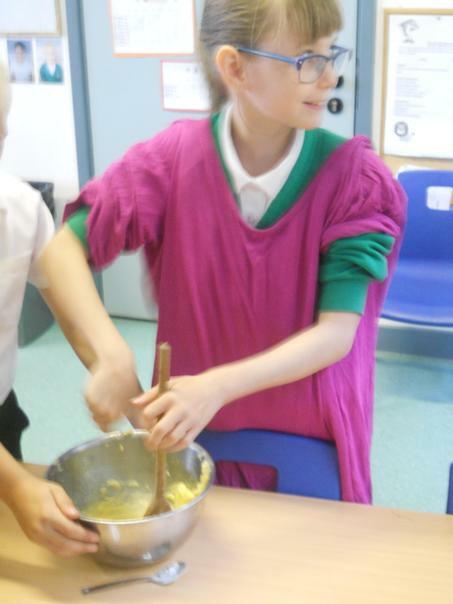 We got the chance to write on Roman tablets using Roman numerals, dress up in togas and handle REAL Roman artefacts. 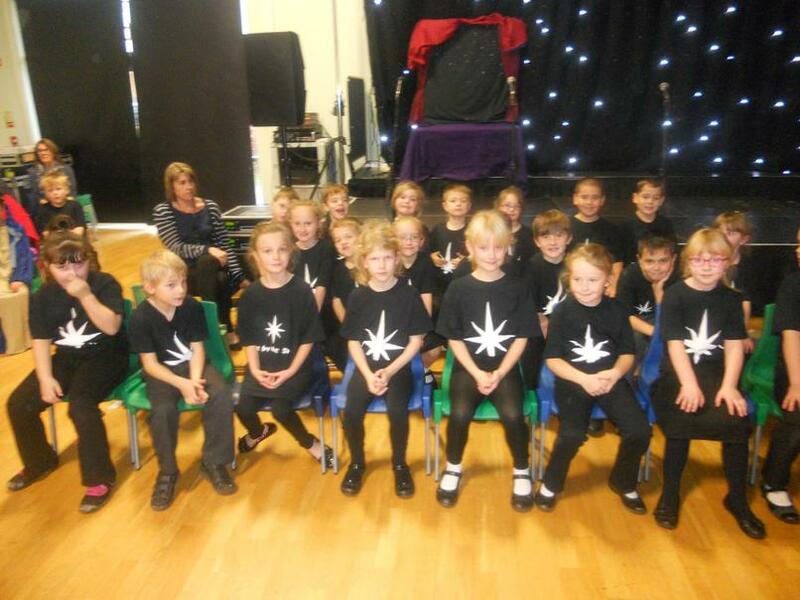 The children showed off all their knowledge and asked some interesting questions. 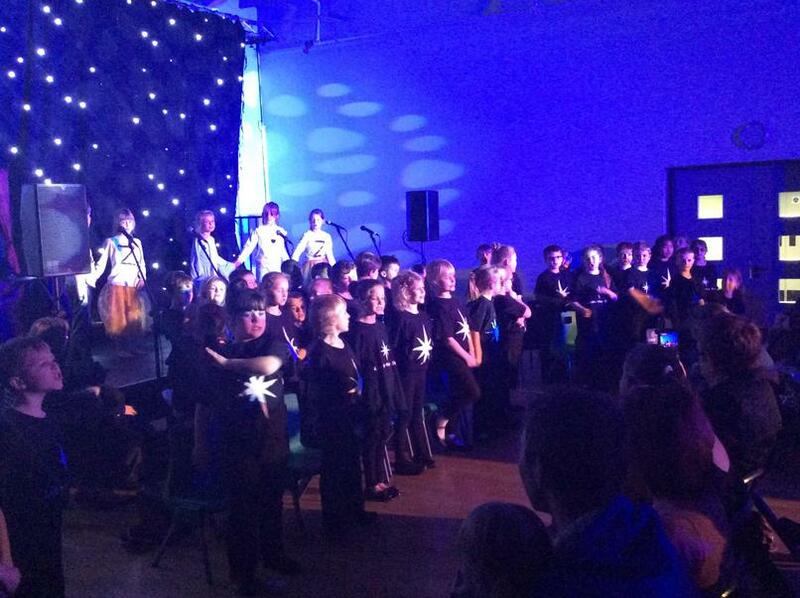 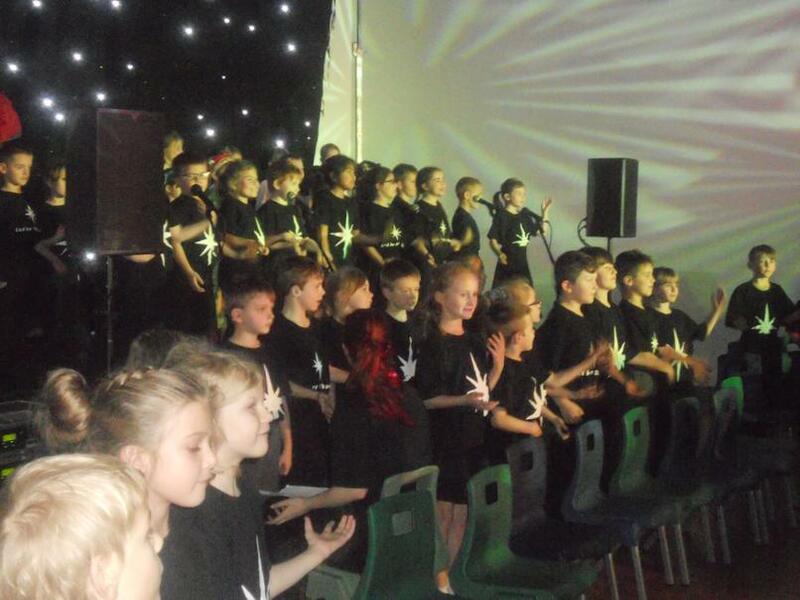 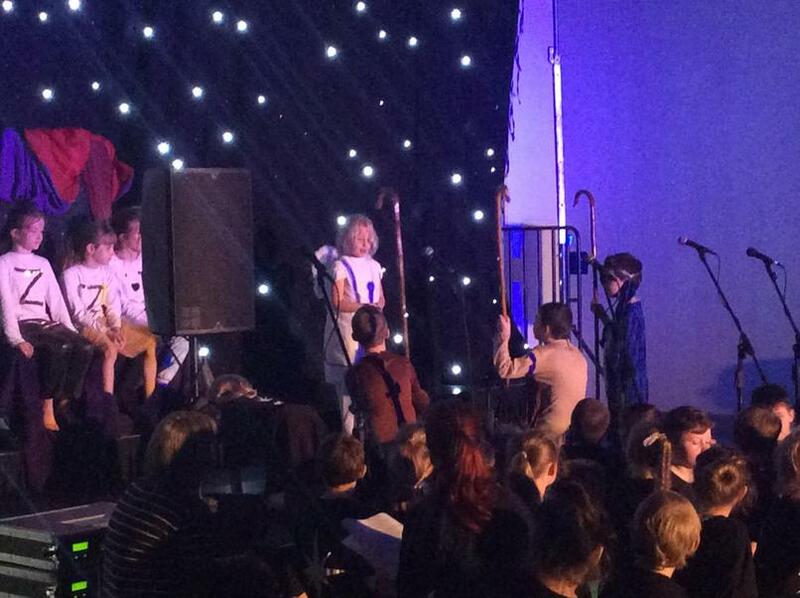 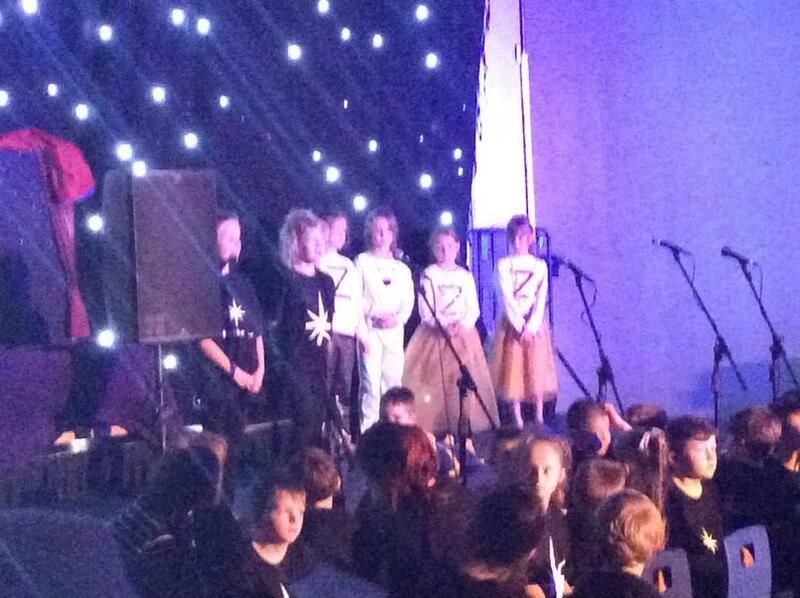 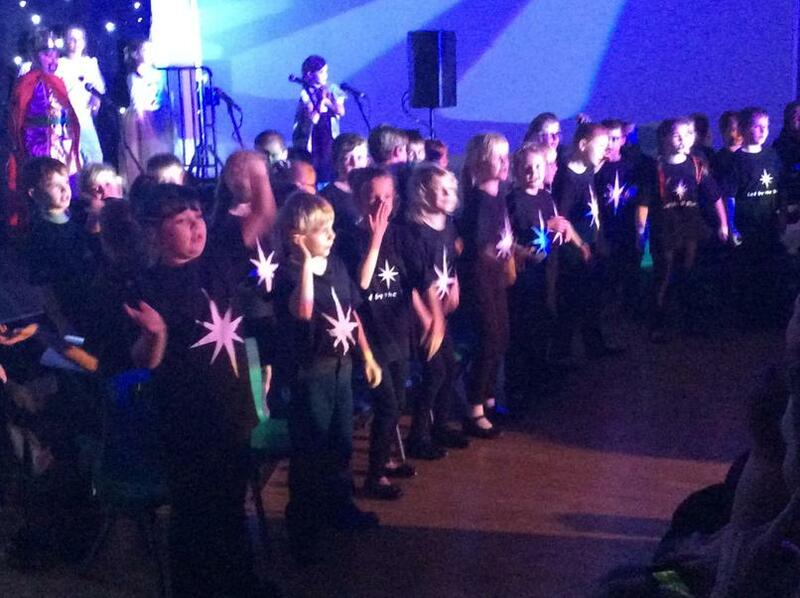 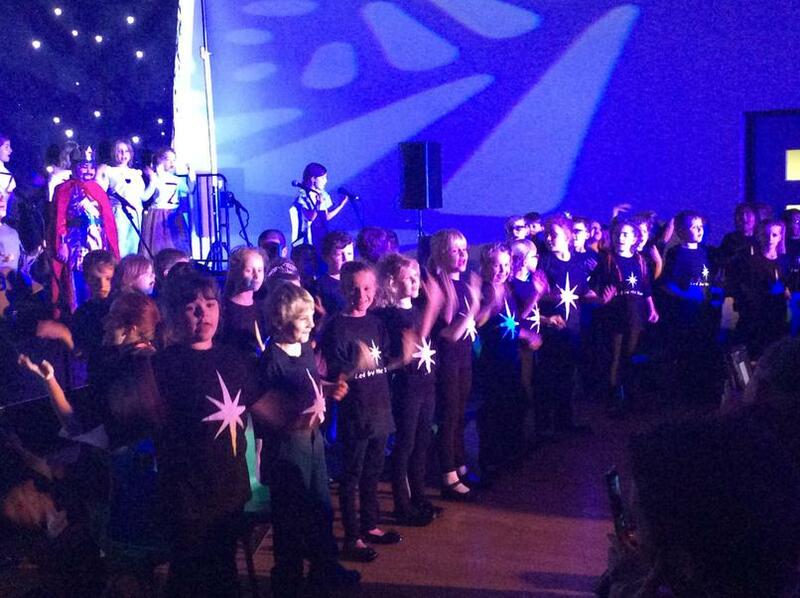 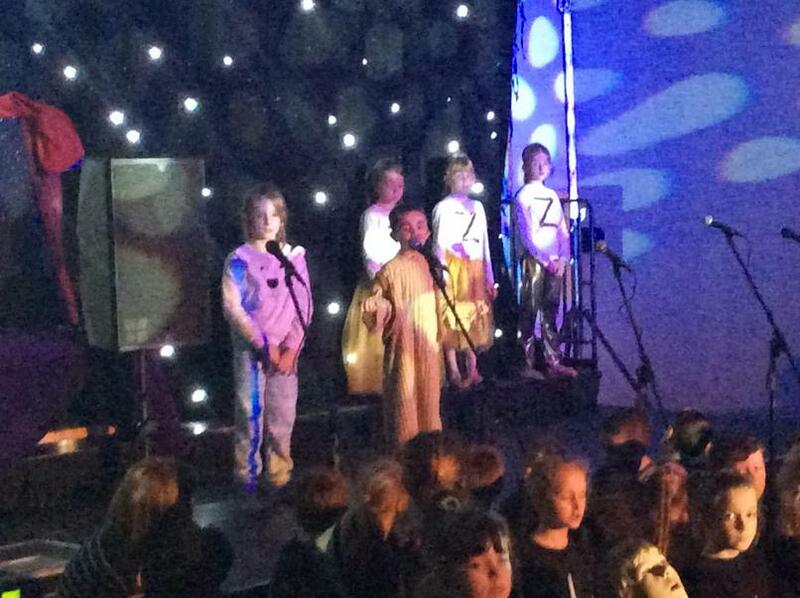 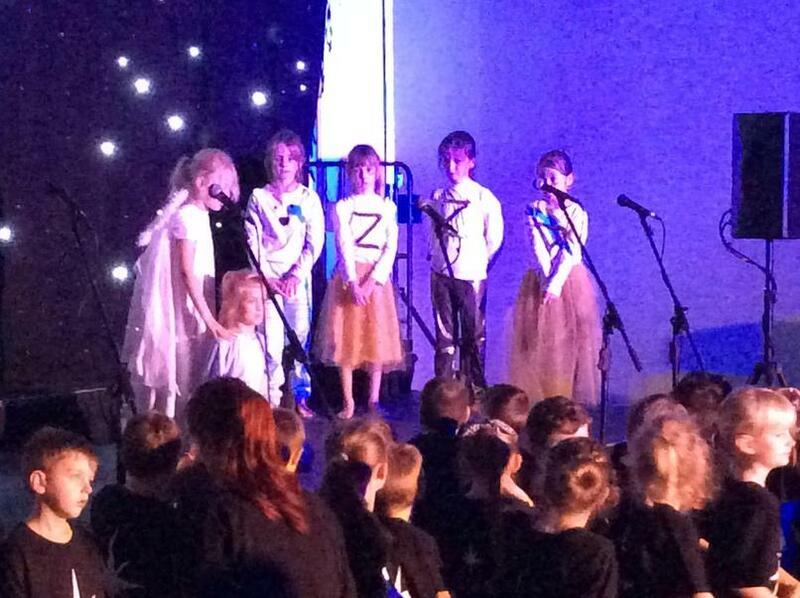 The children performed excellently in our 'Led by the Star' performance to mark the end of our work with Malachi. 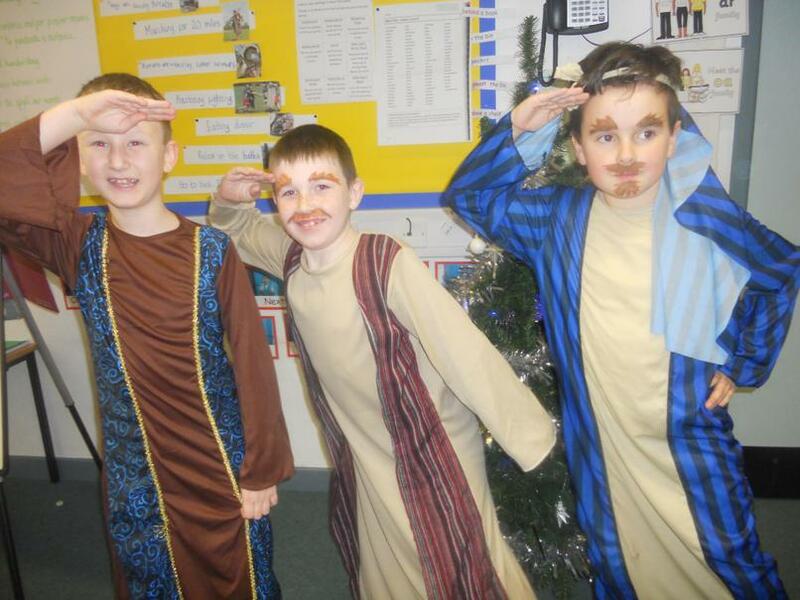 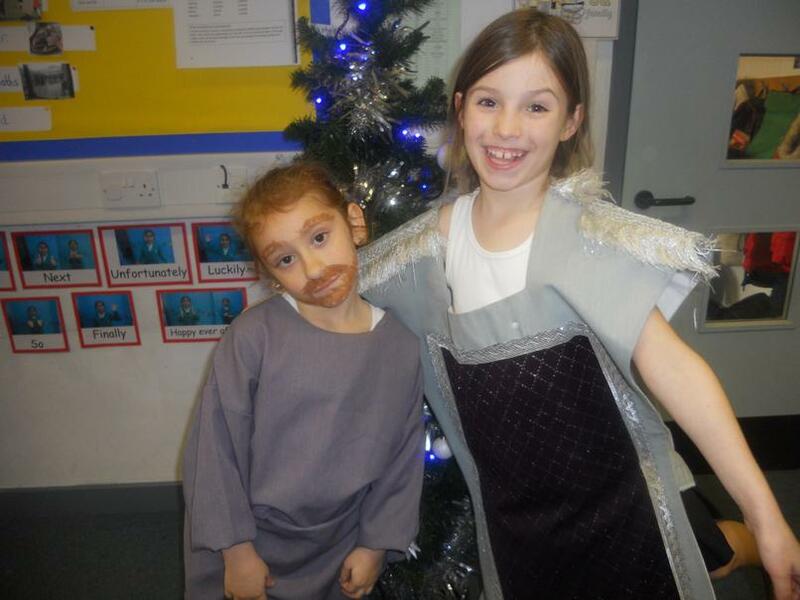 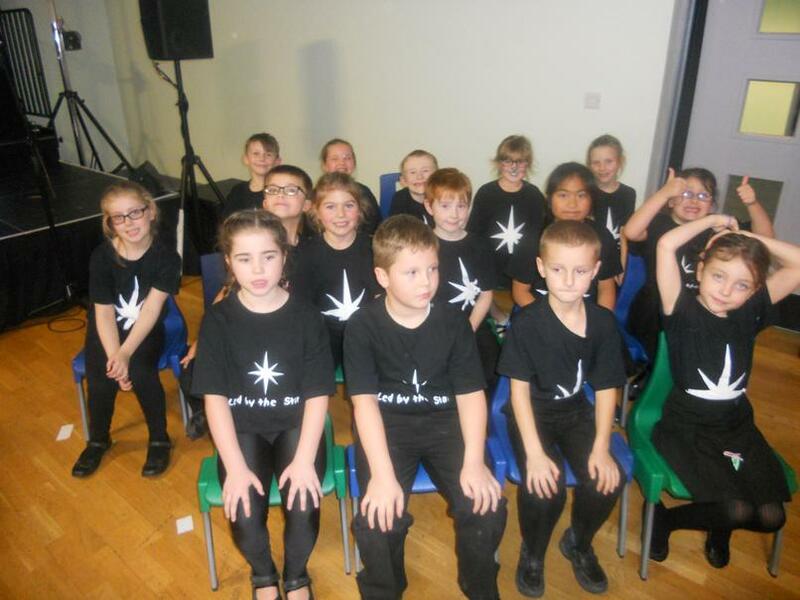 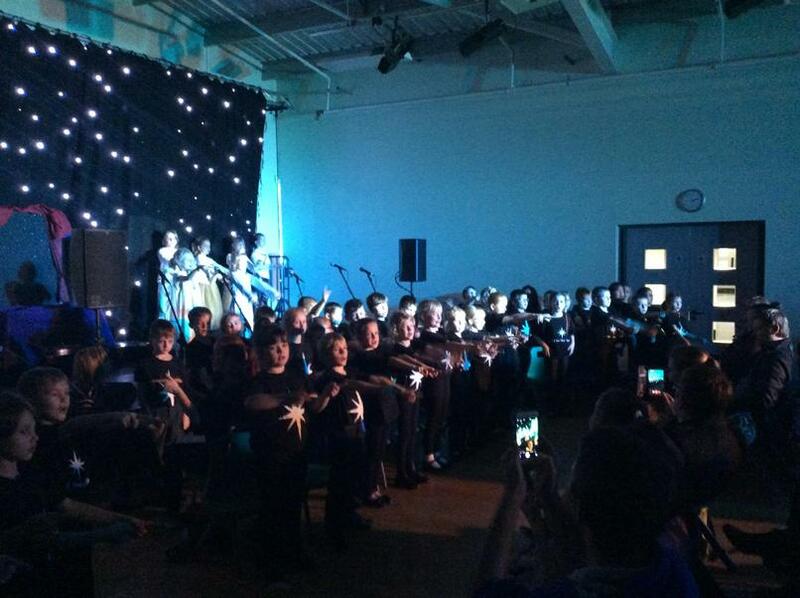 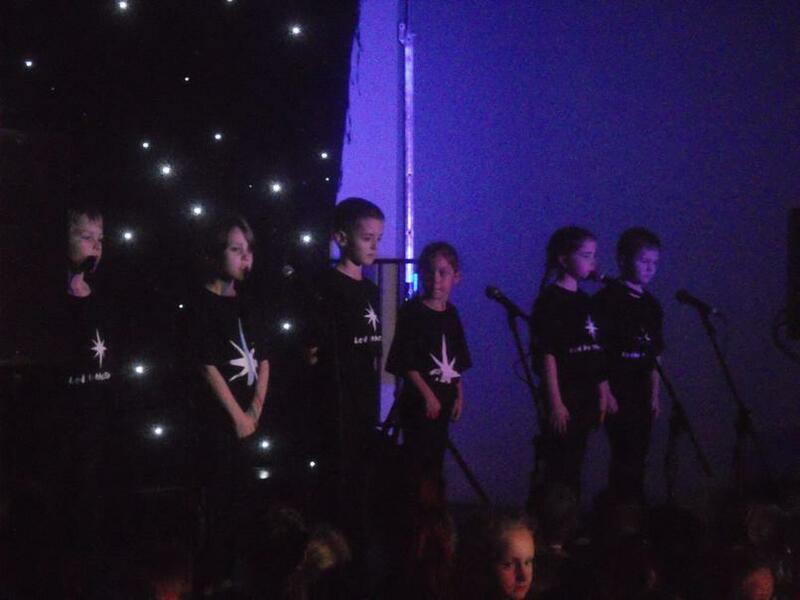 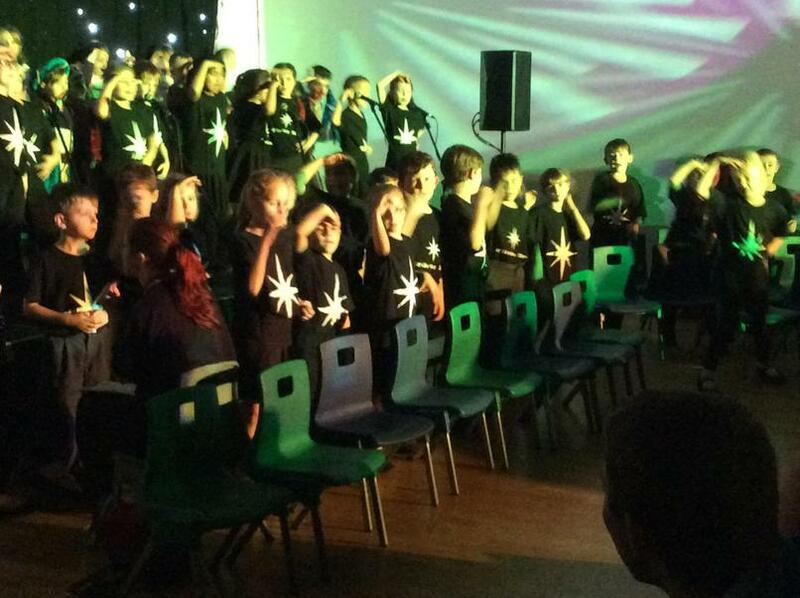 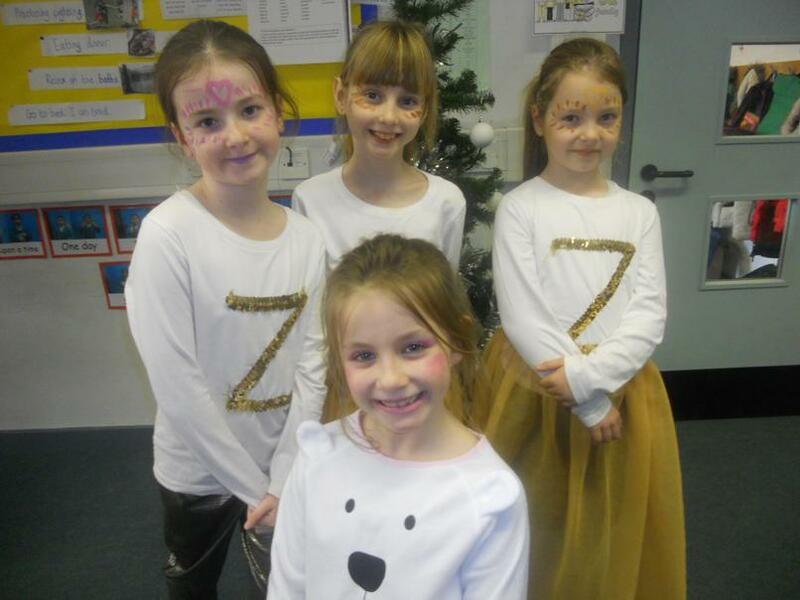 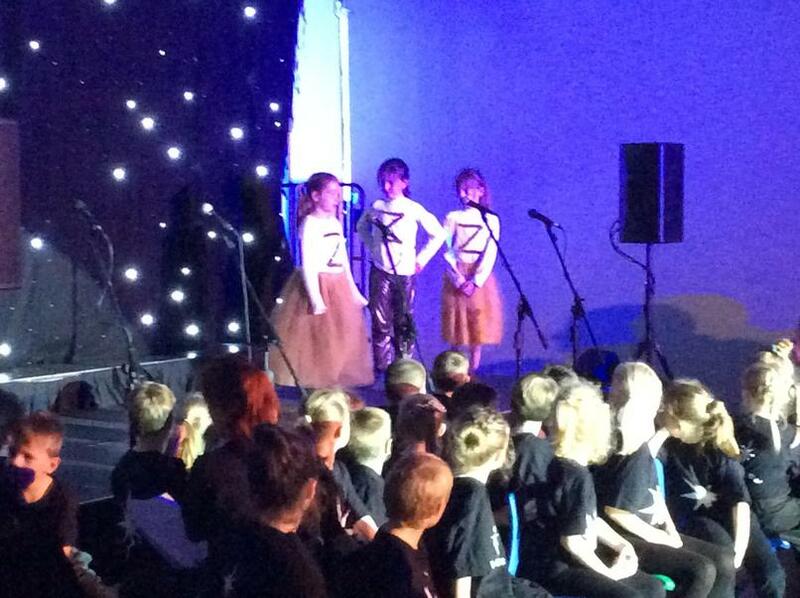 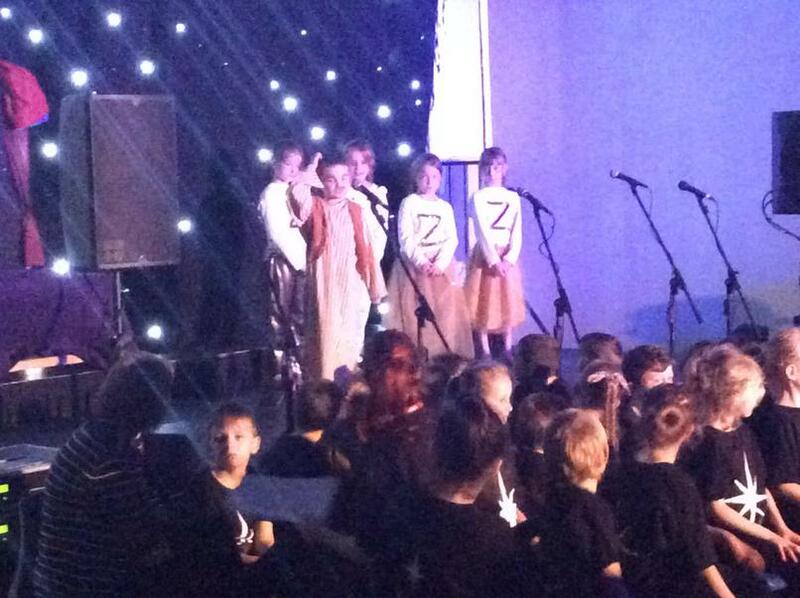 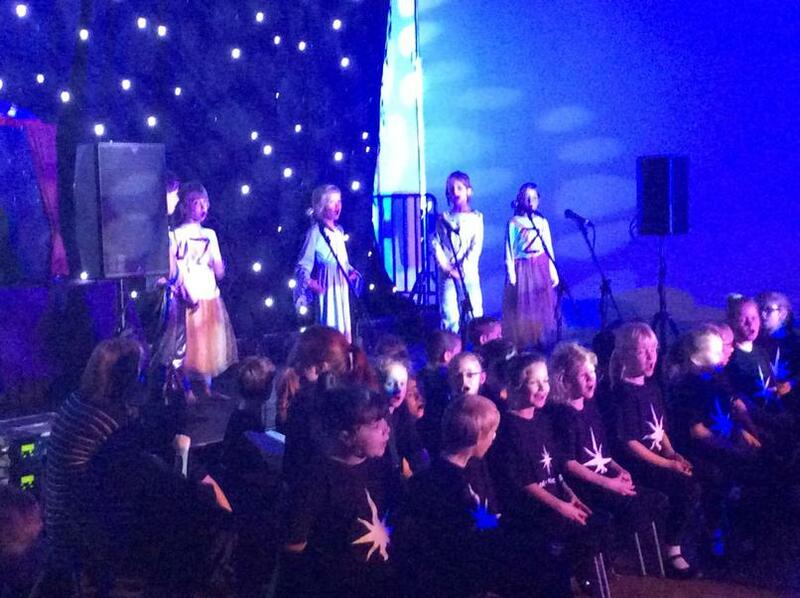 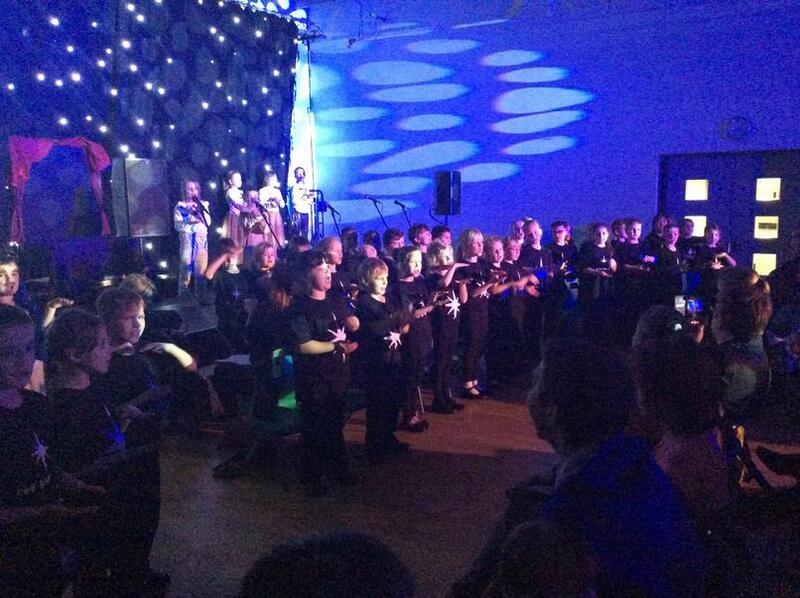 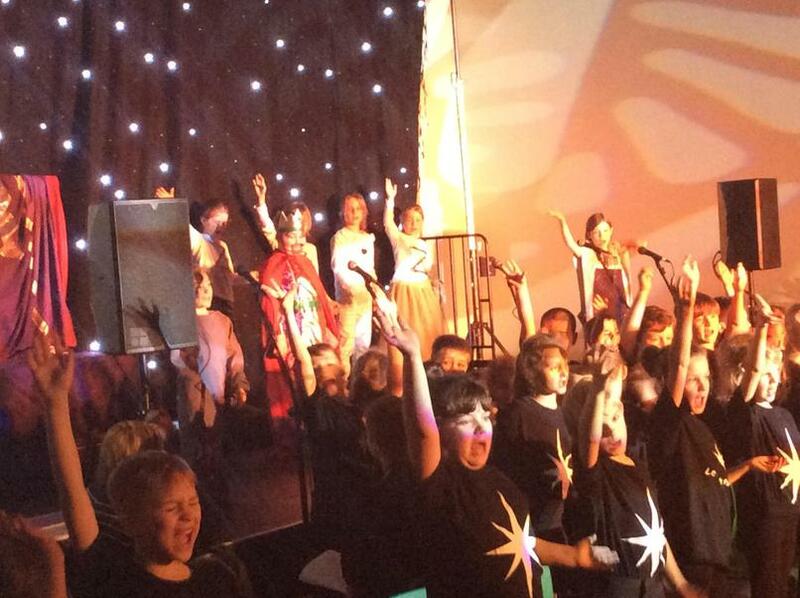 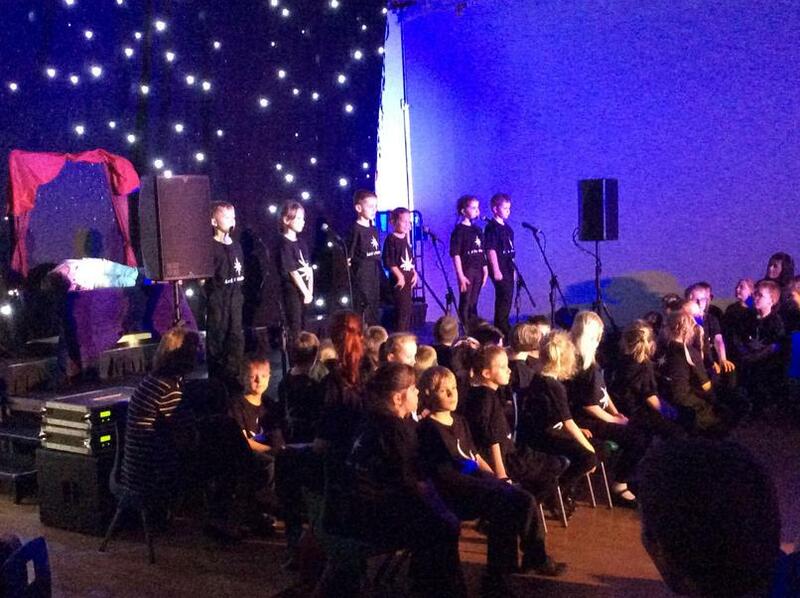 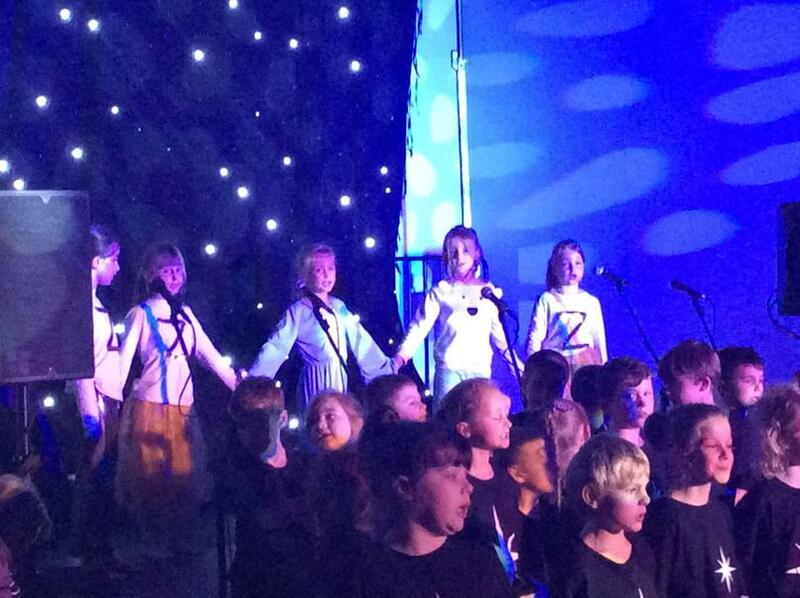 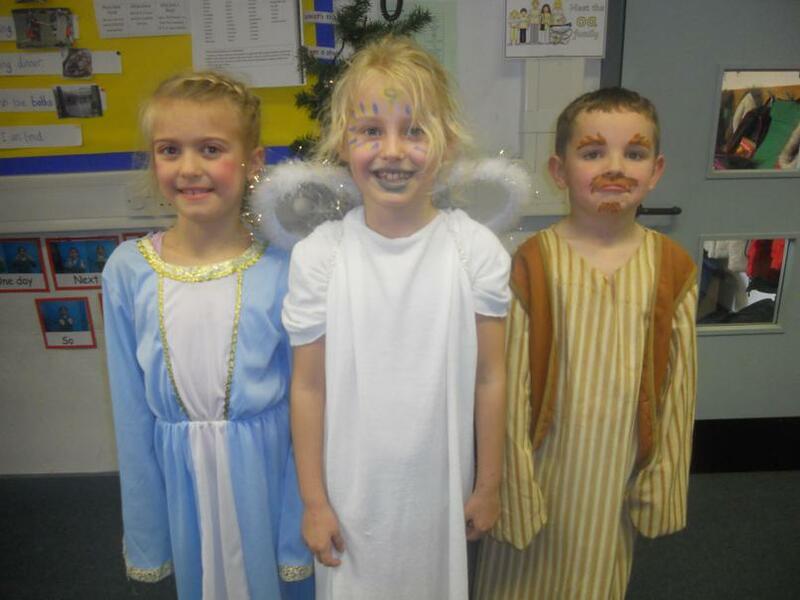 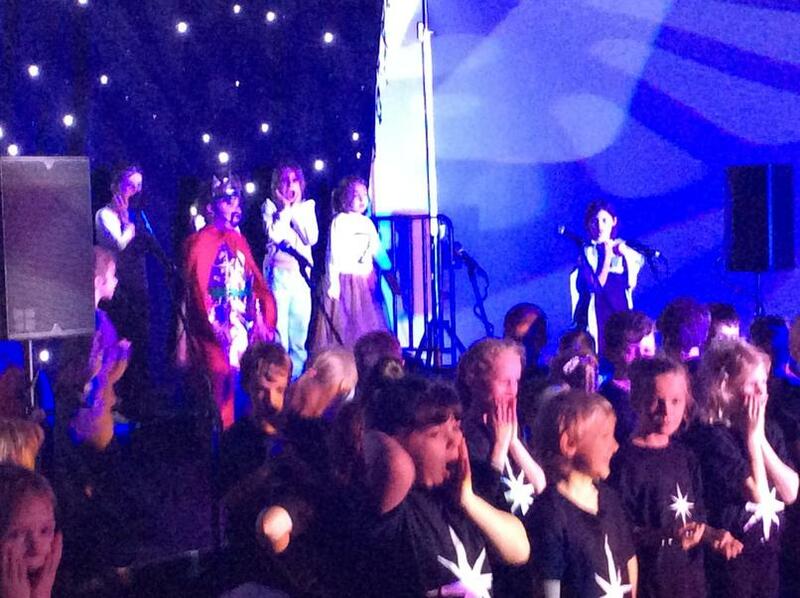 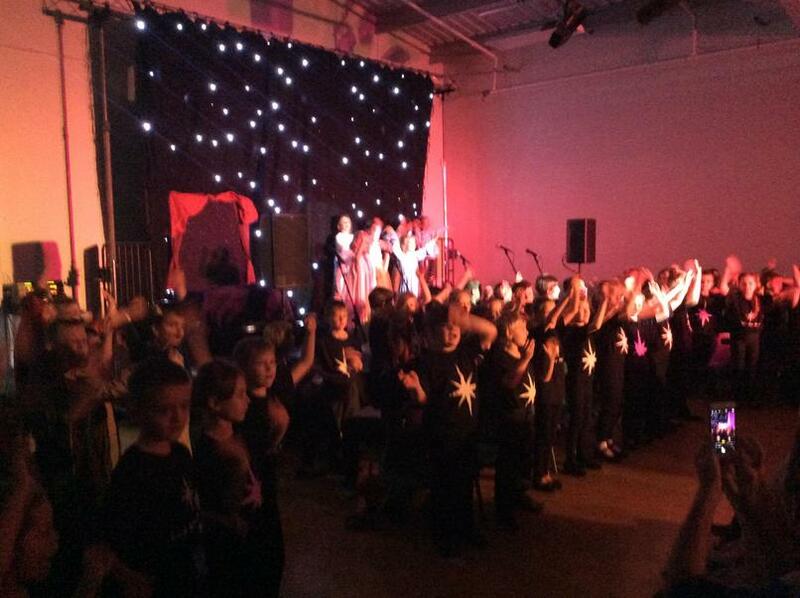 All of the children learnt their parts and worked extremely hard to perform in front of several audiences. 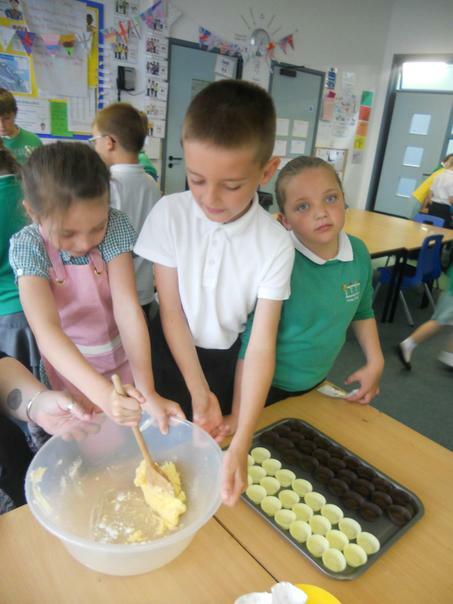 They should be very proud of their efforts; we most certainly are! 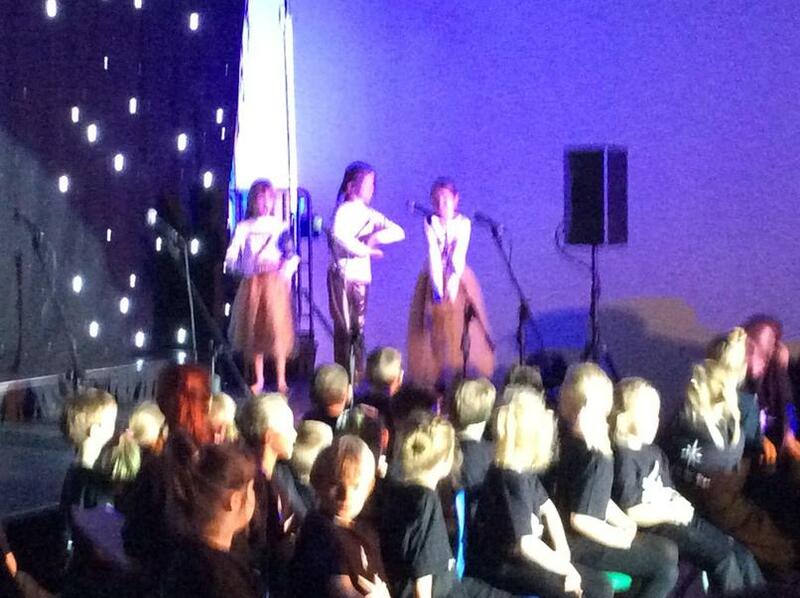 Well done to Year 3.